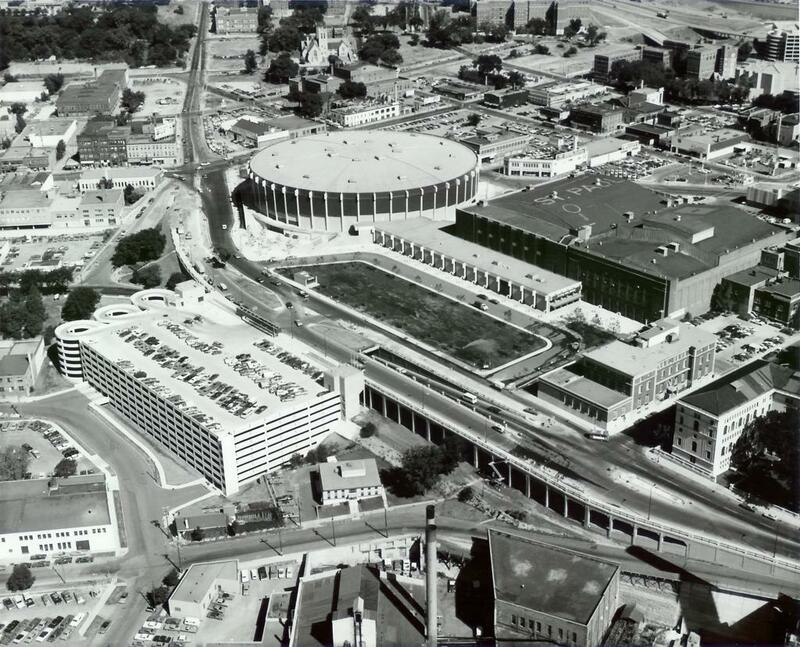 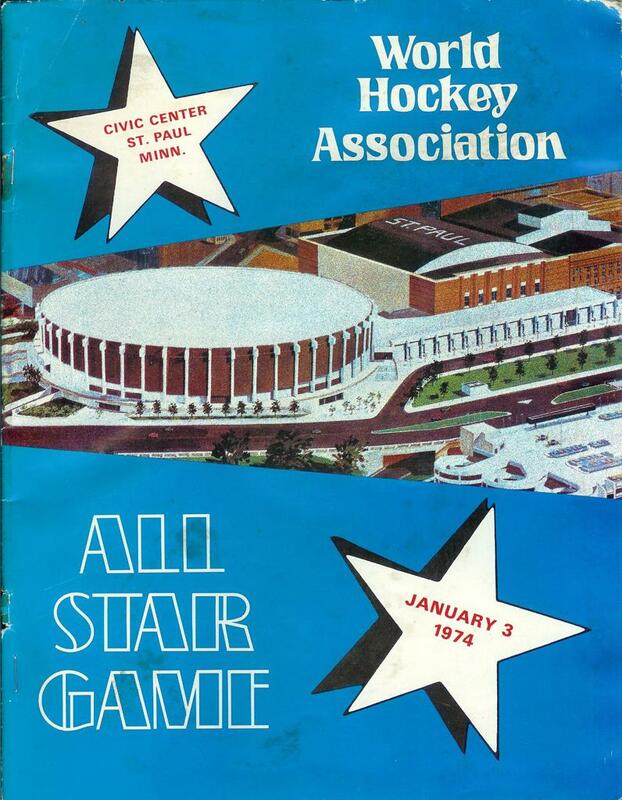 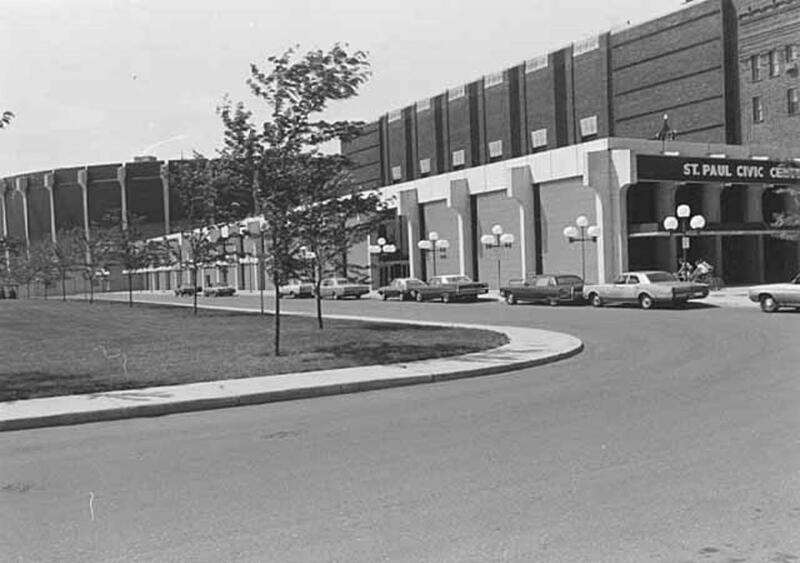 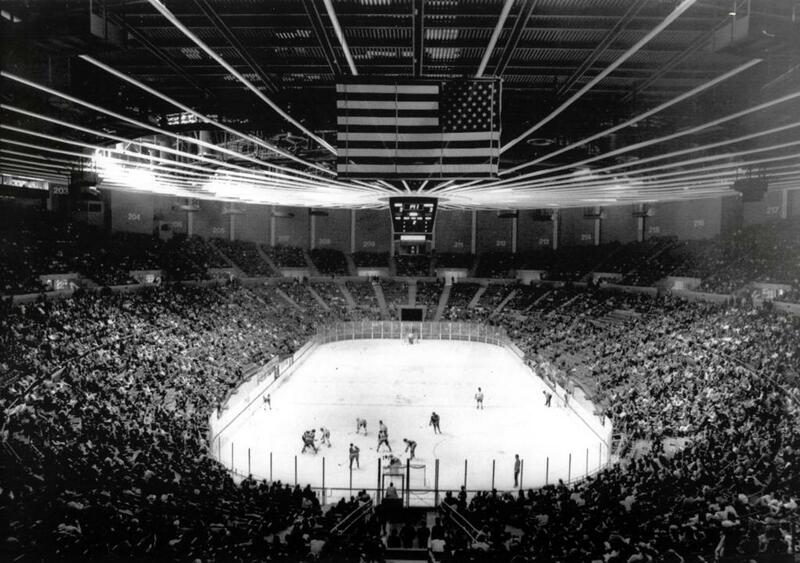 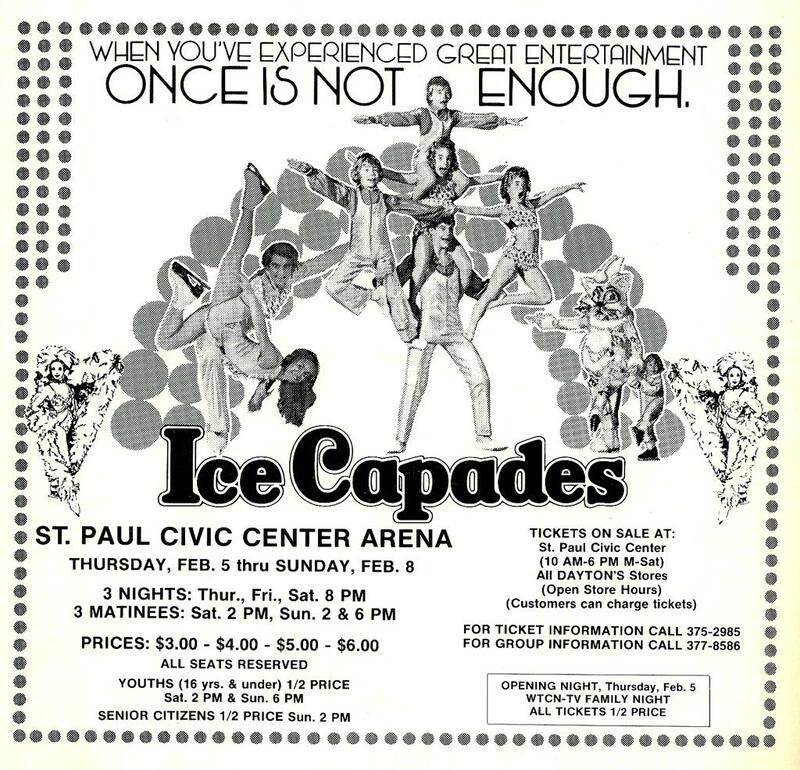 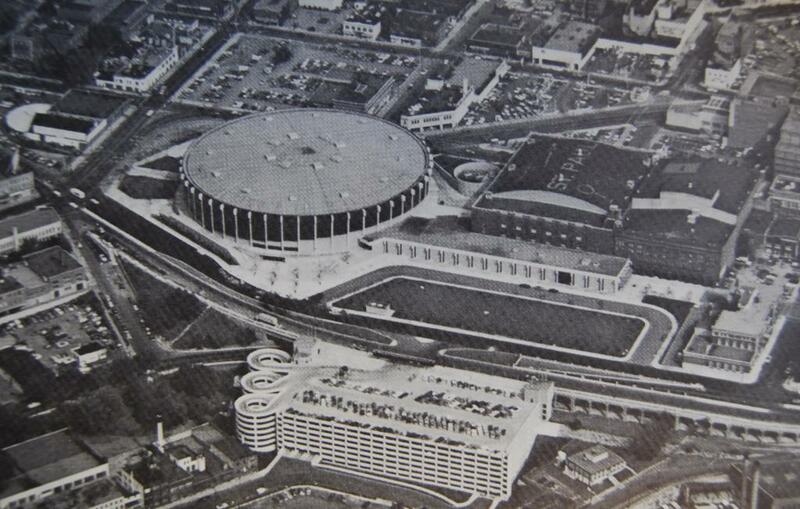 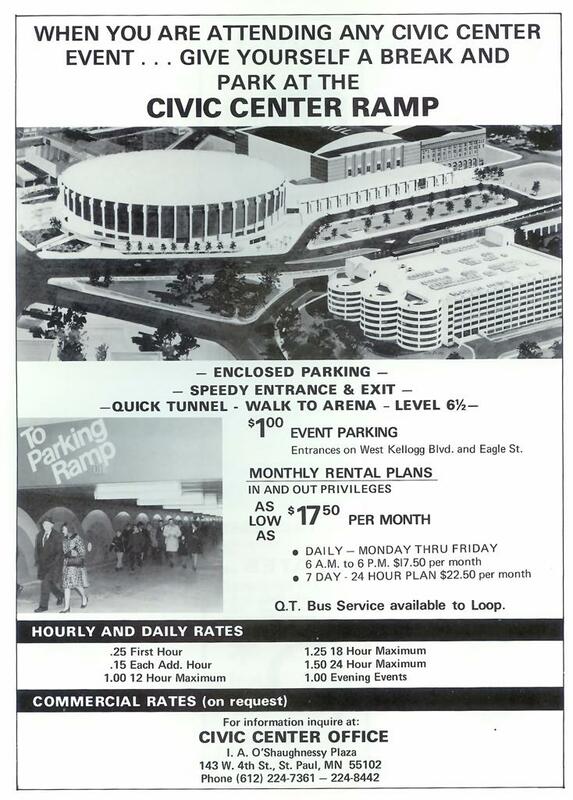 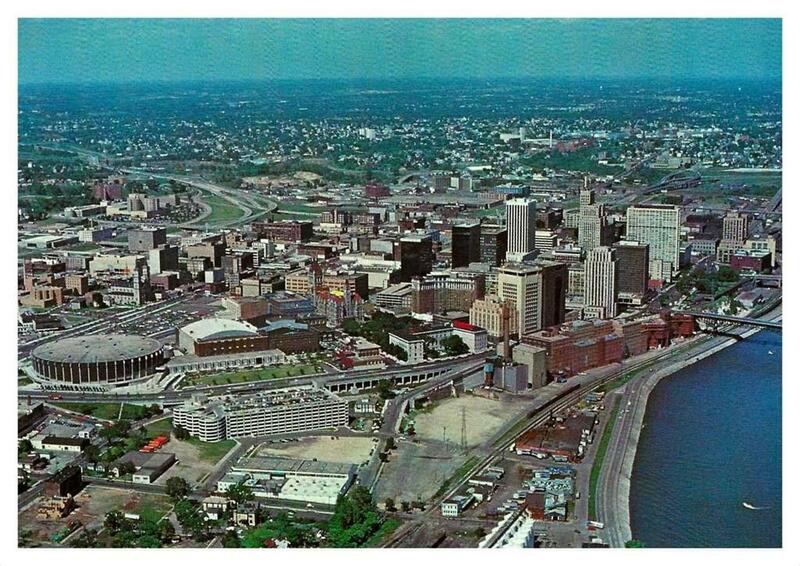 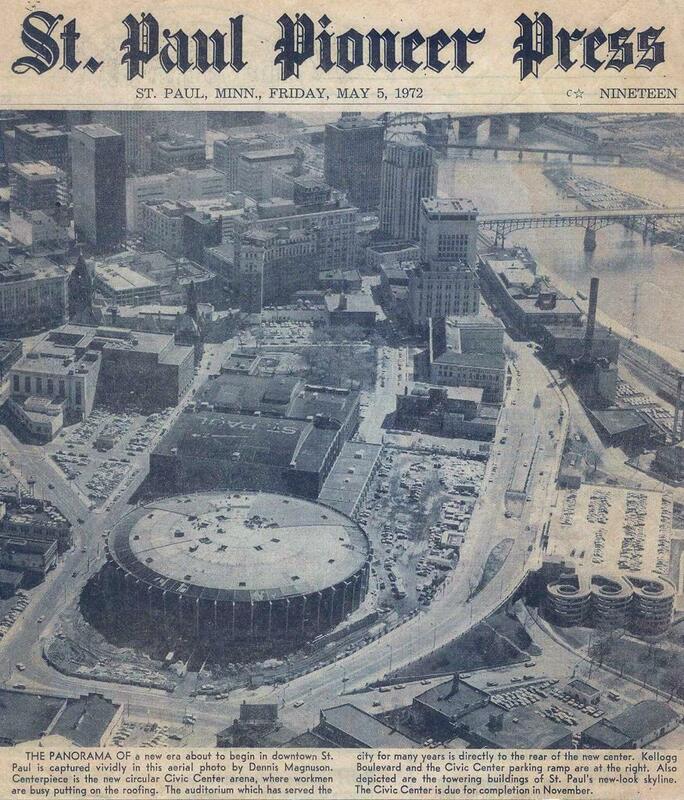 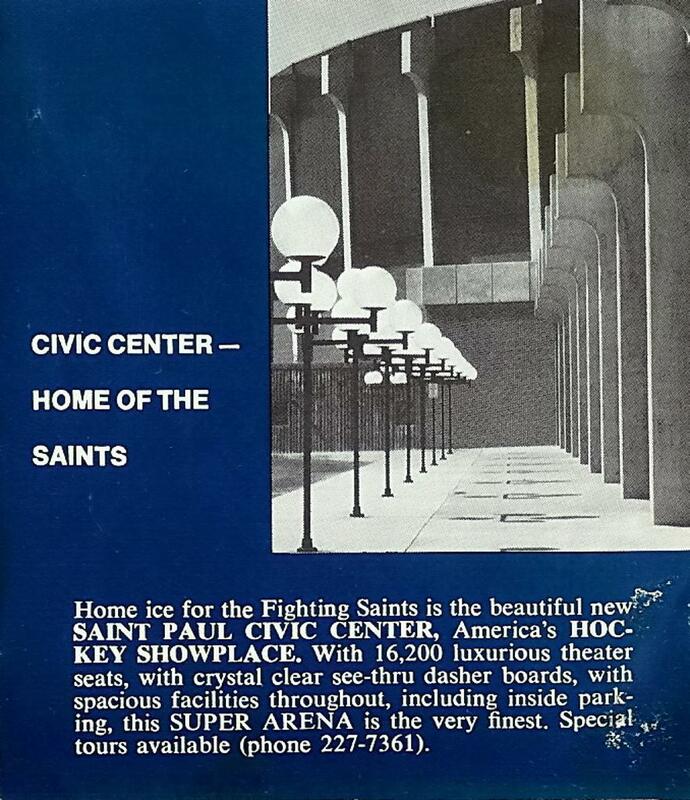 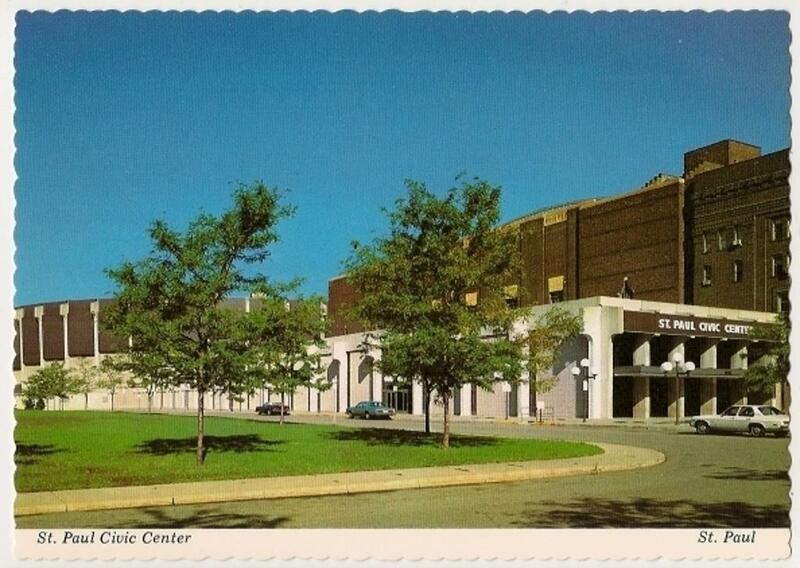 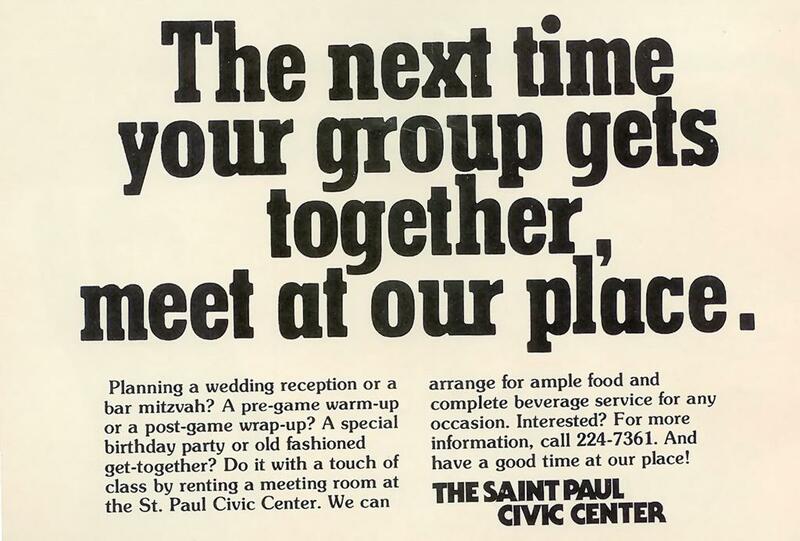 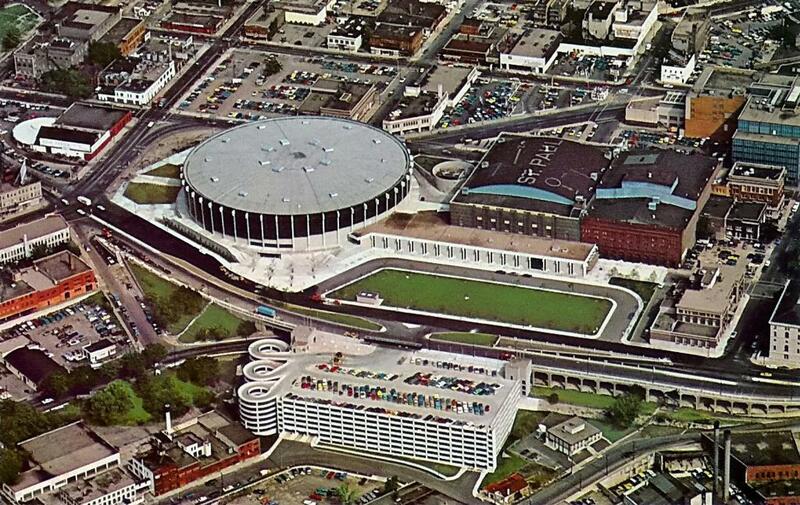 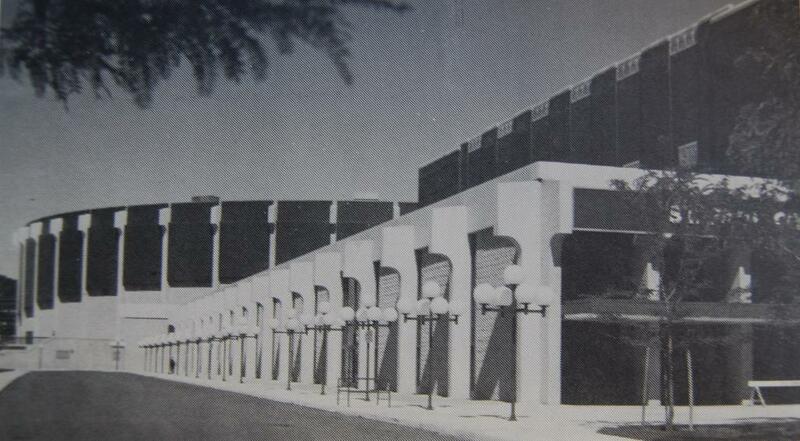 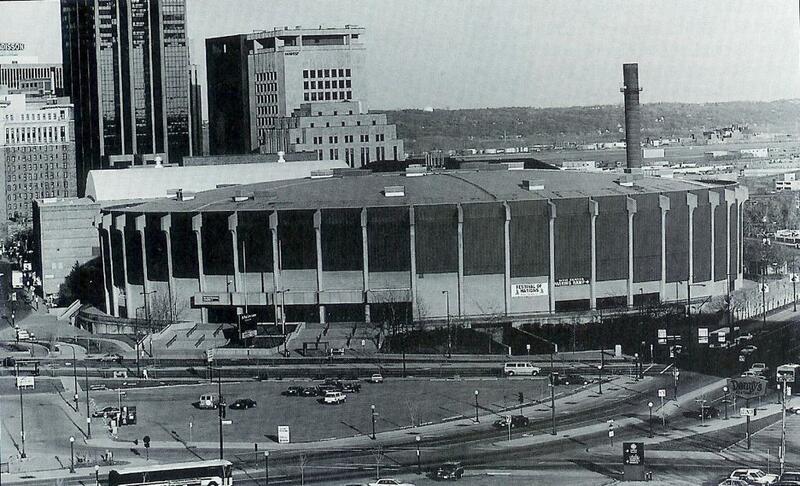 The St. Paul Civic Center was an indoor arena that was part of the adjacent RiverCentre. 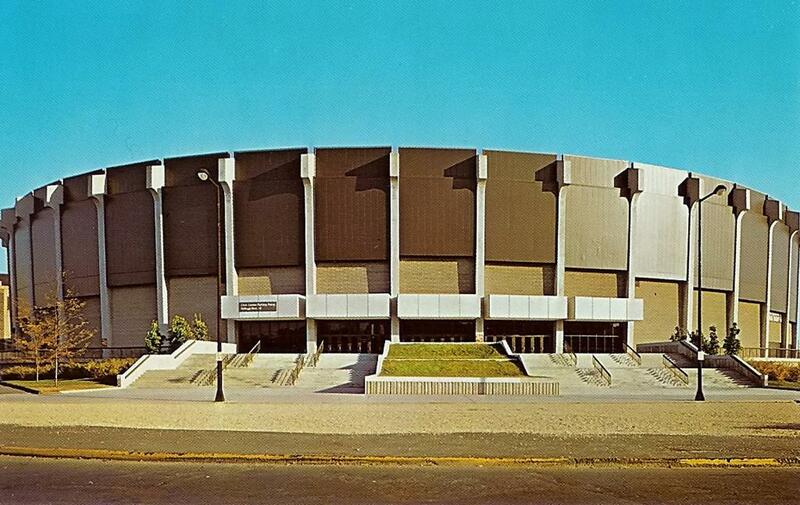 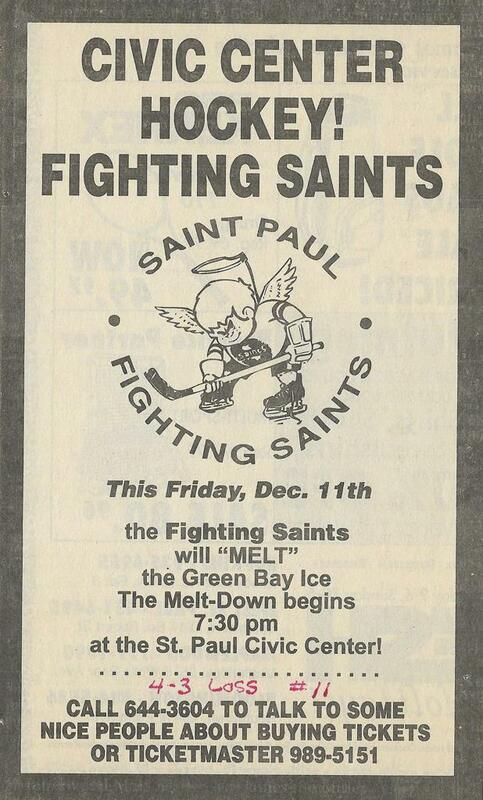 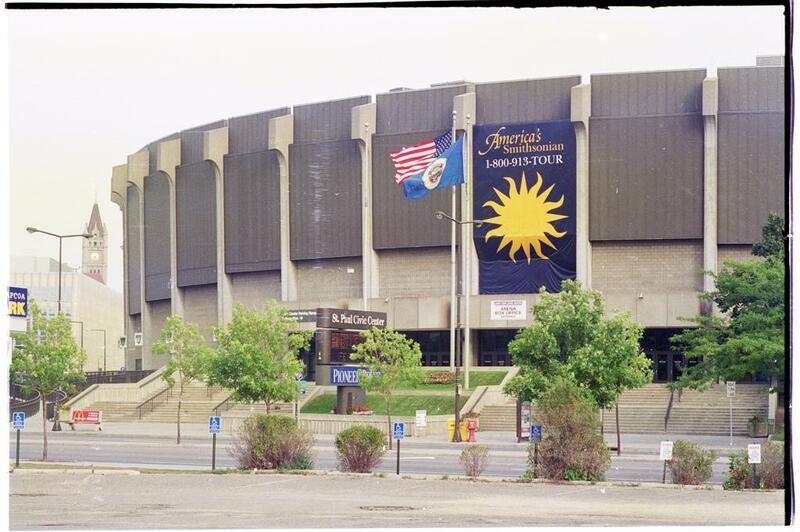 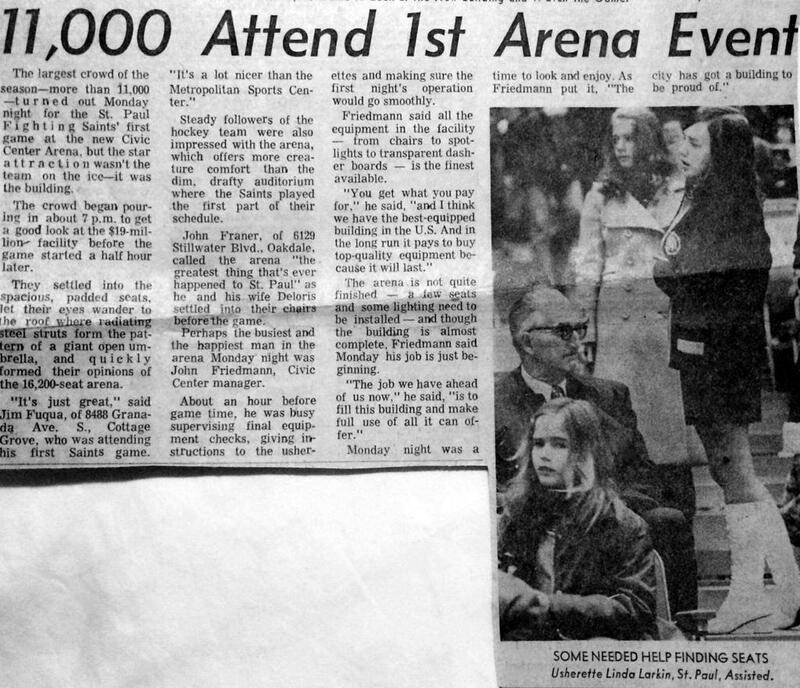 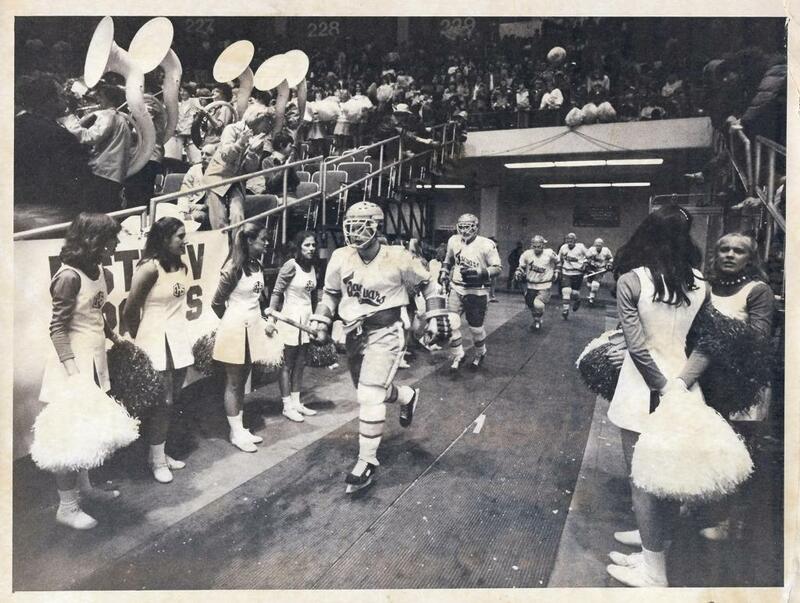 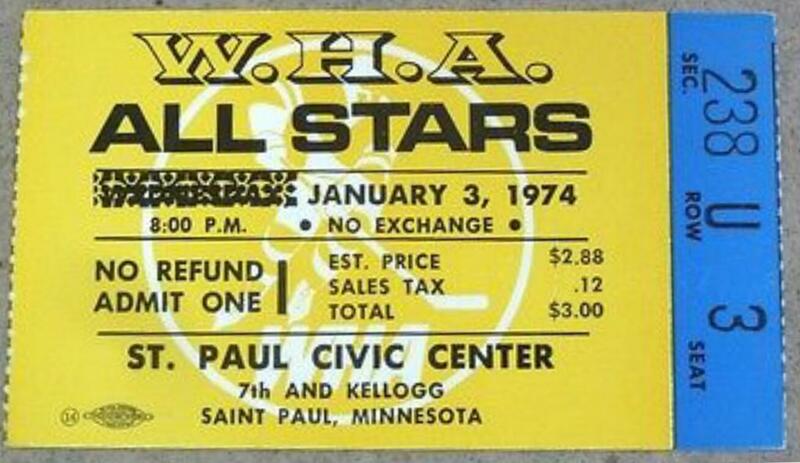 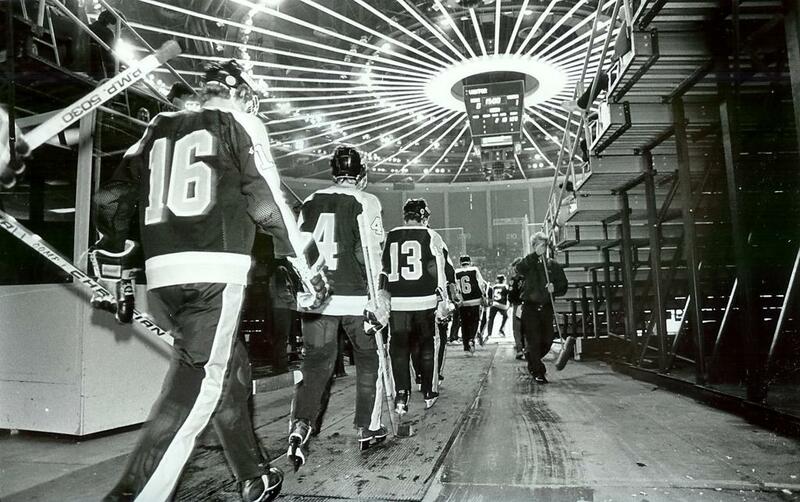 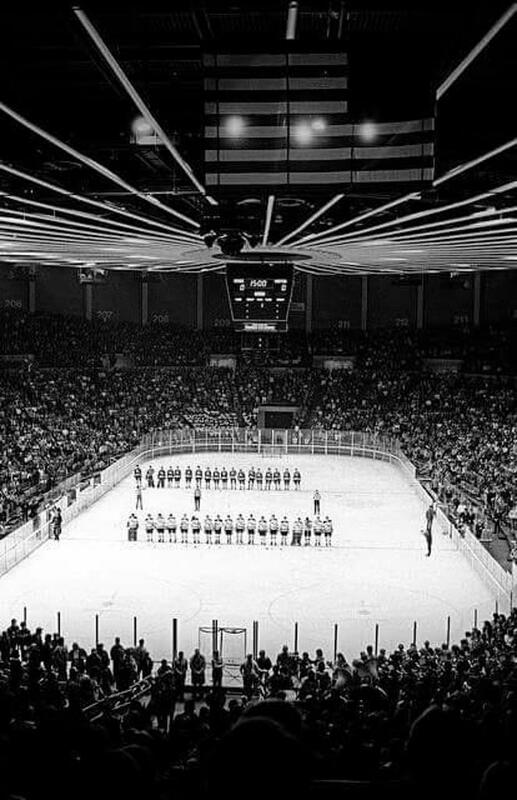 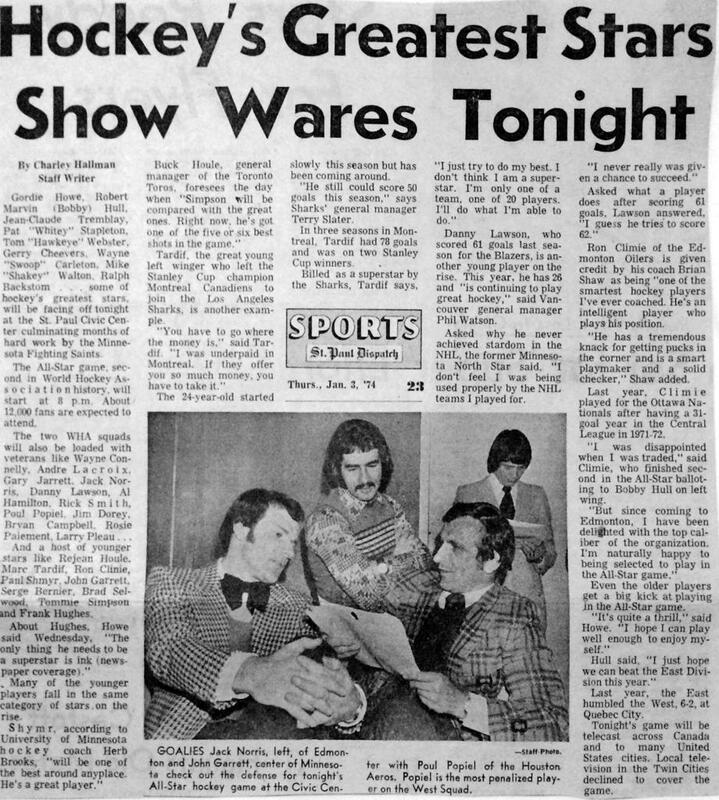 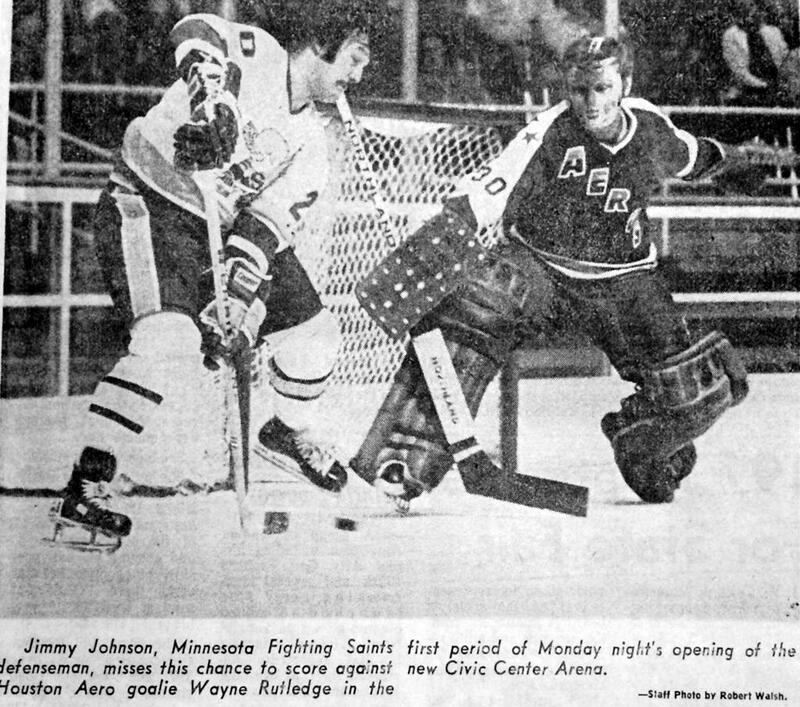 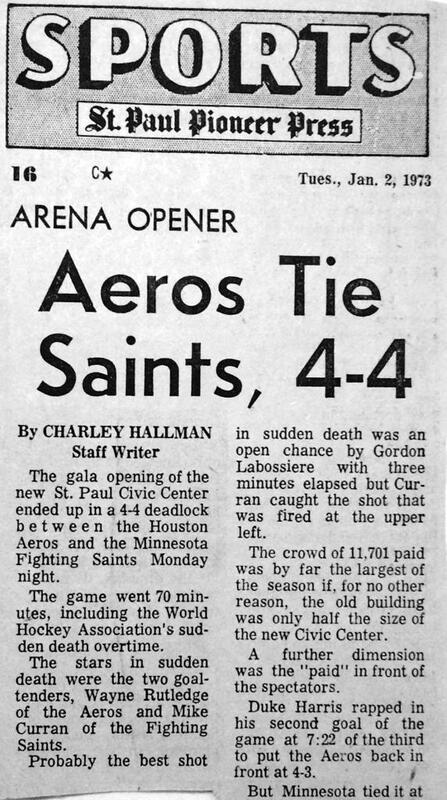 The arena, which was opened on January 1, 1973, was the home of both incarnations of the Minnesota Fighting Saints of the WHA - the first from 1973-1976 and the second from 1976-1977. 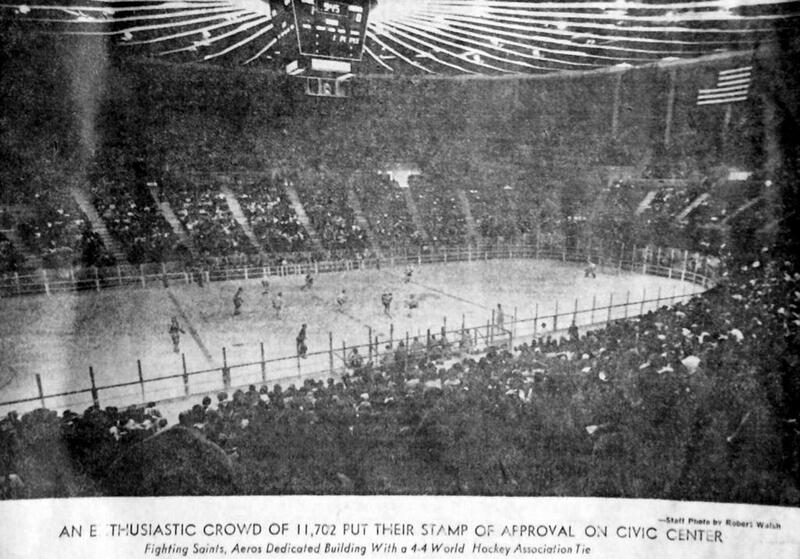 The arena seated 16,000. 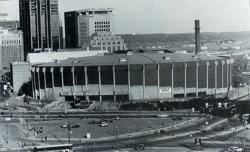 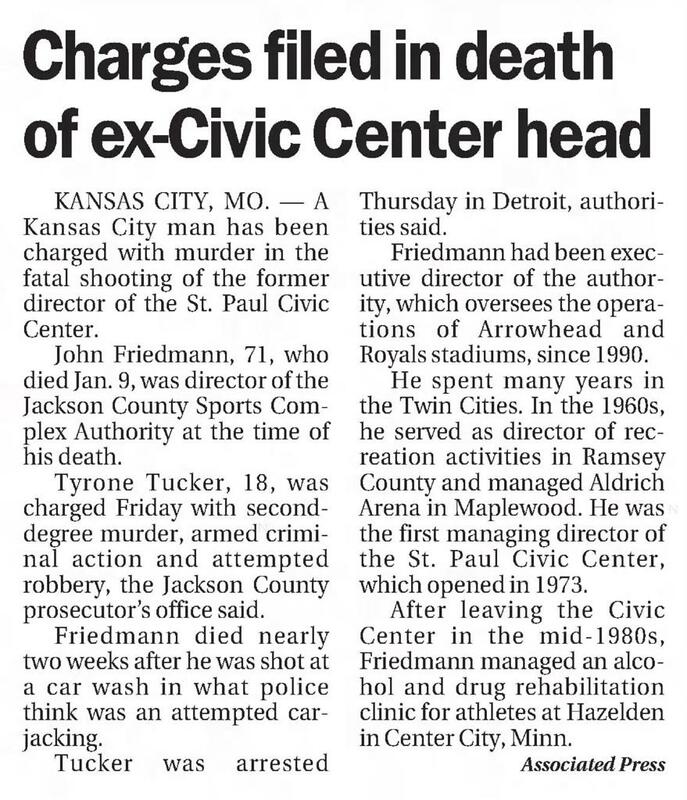 It was renamed in 1998 to the RiverCentre. 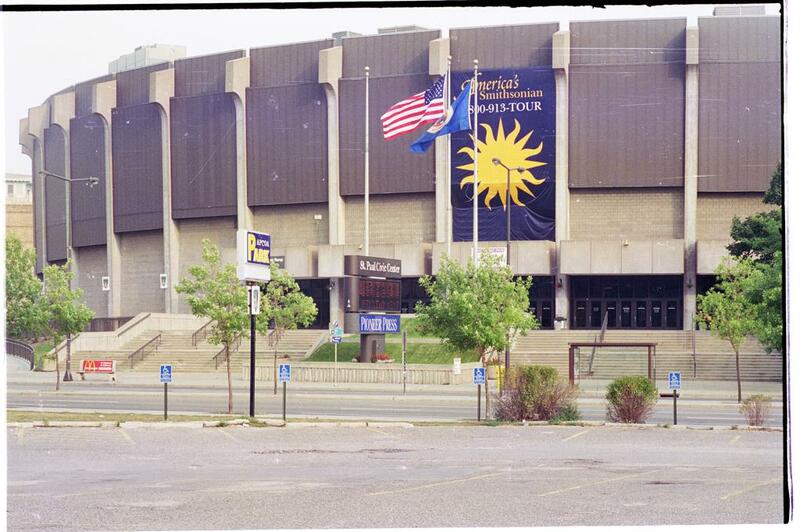 The Arena was also home to the MSHSL High School Hockey Championships starting in 1945. 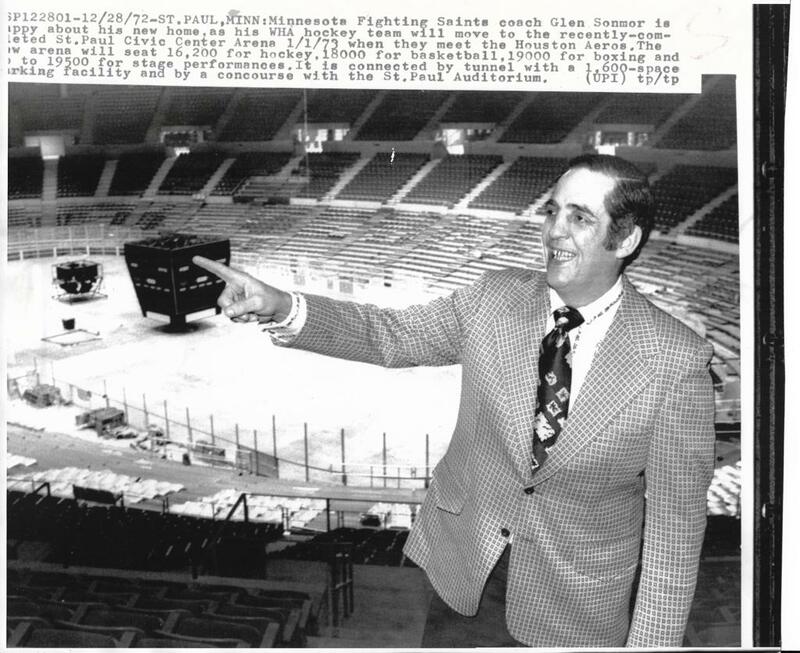 Gene Aldrich whom was Athletic Director for St. Paul public schools pushed the idea of the State High School Hockey Tournament. 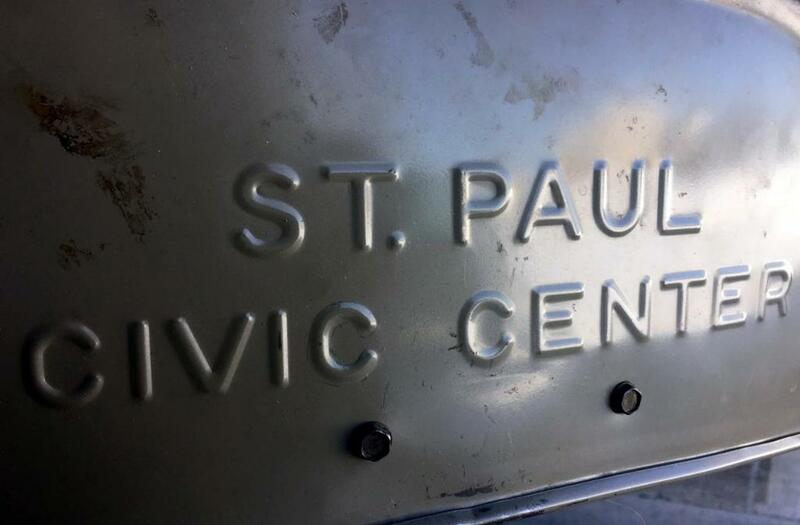 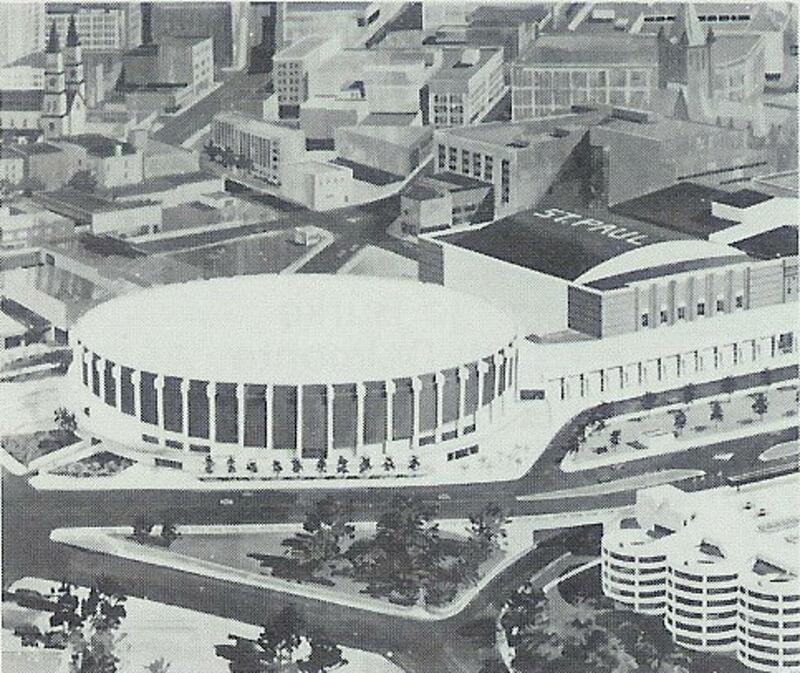 Because of his lobbying, the first state tournament was held in 1945 at the St. Paul Auditorium, then moved to the Civic Center to accommodate the increasing popularity of the tournament. 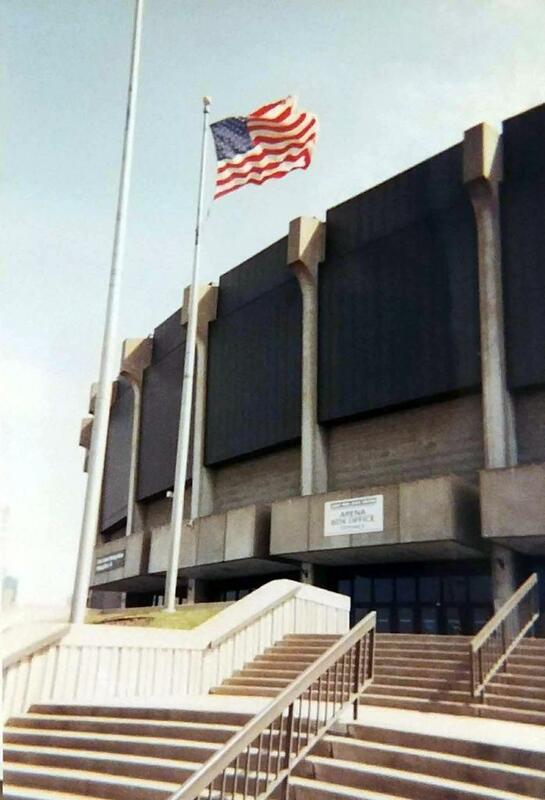 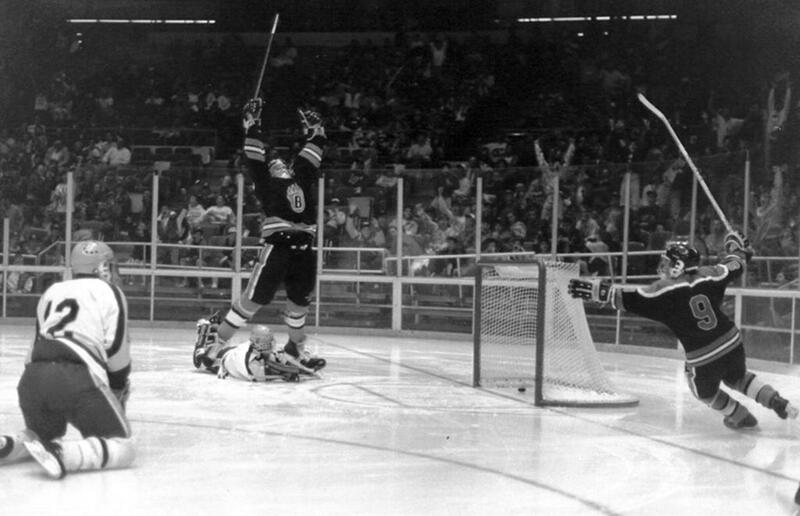 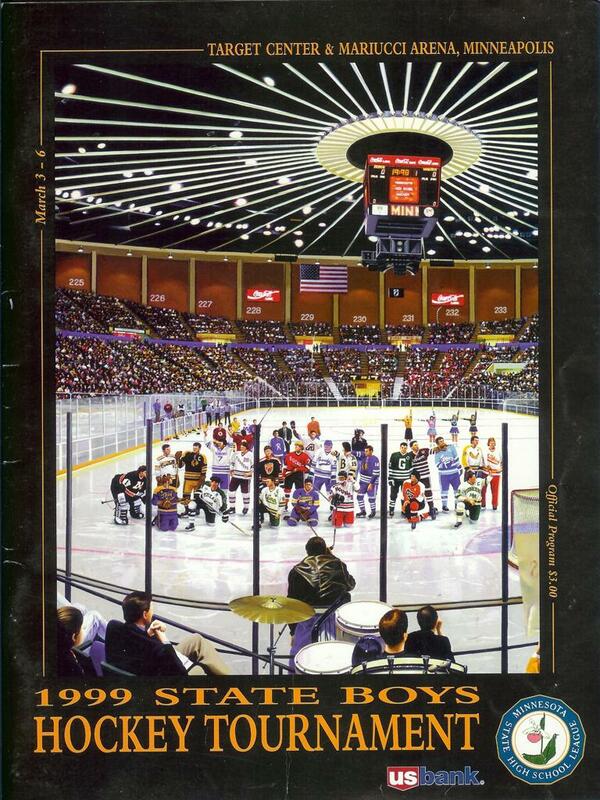 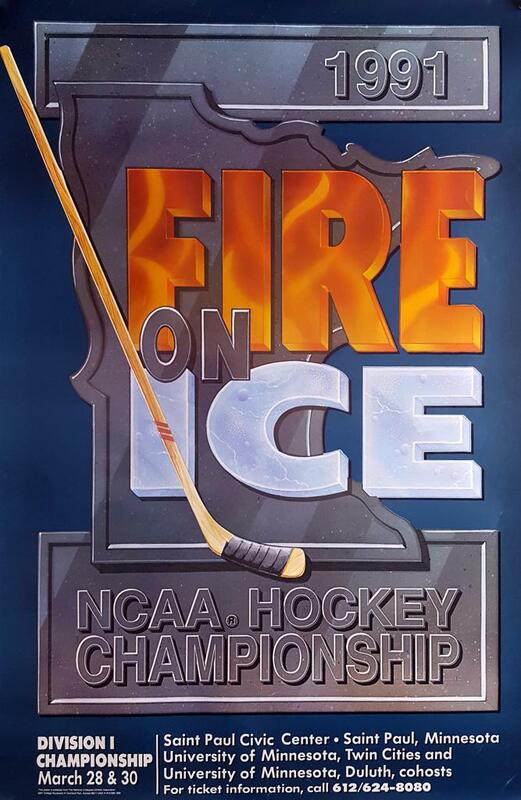 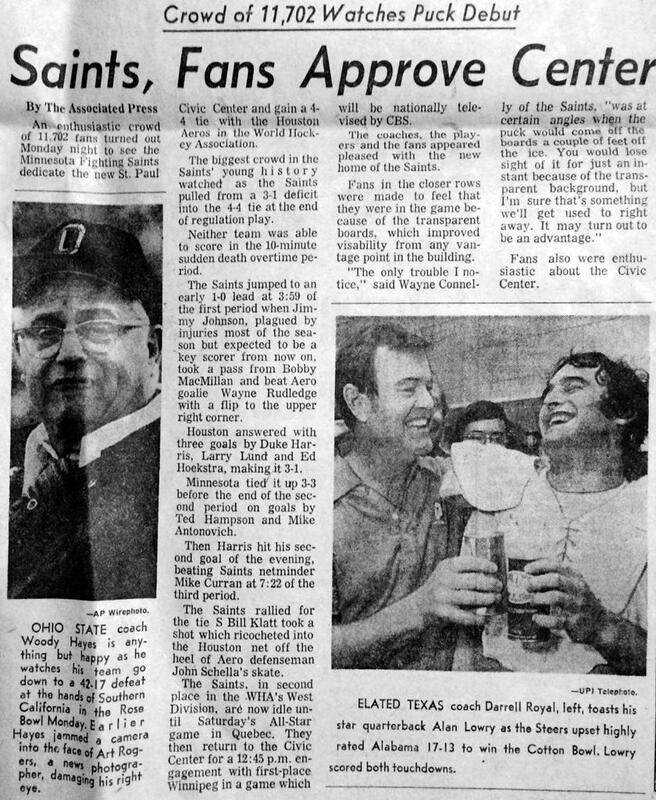 The boys basketball tournaments were also held at the Civic Center as well as three NCAA Frozen Fours, including the Gophers 1989 heartbreaking overtime loss to Harvard 4-3 in the Frozen Four championship game. 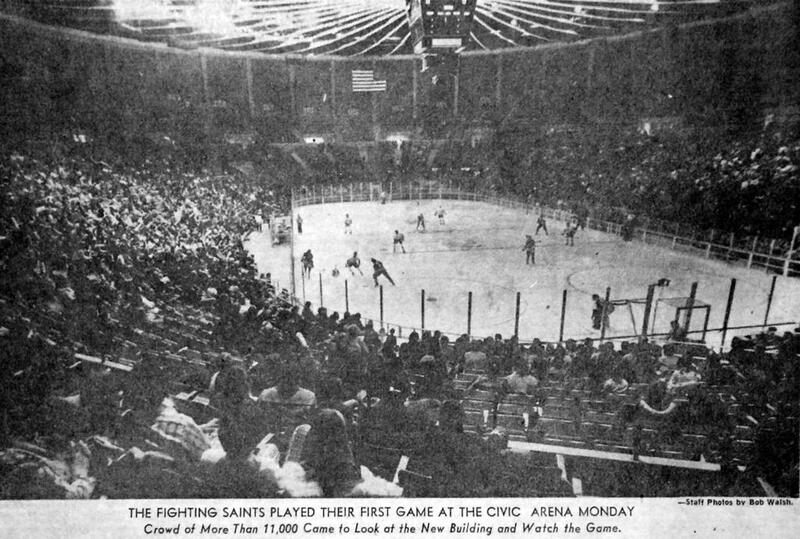 The Civic Center is best remembered for it's unique hockey boards that were made of clear acrylic glass all the way down to the ice, that were installed by urging of Civic Center Managing Arena Director - John Friedmann who in 1973 was quoted as saying "I saw them on TV during the Winter Olympics in Sapporo, Japan in 1972, and felt those would be great for better fan enjoyment while watching hockey". 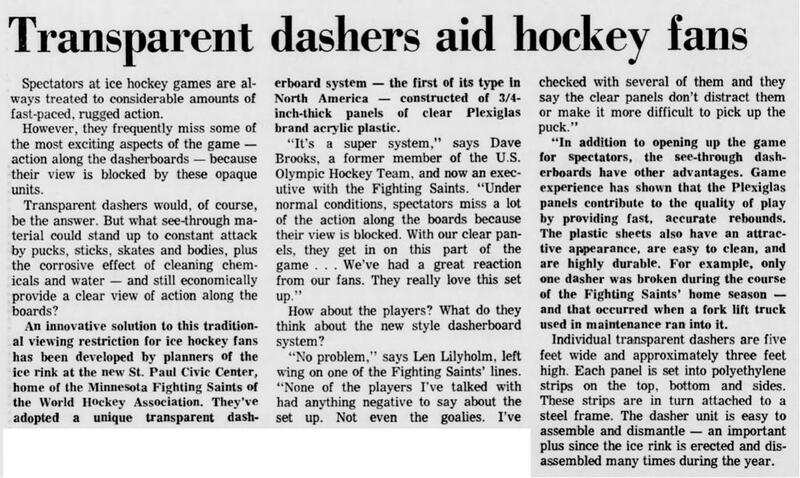 The iconic clear dashers were made by Safeway Steel of Milwaukee. 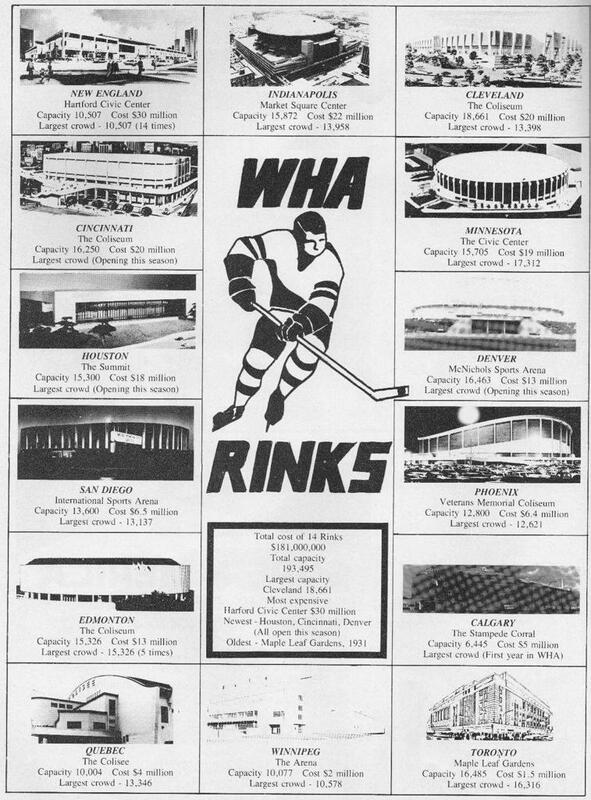 "They cost us $85,000 in 1973, but would probably cost between $200,000 to 225,000 today. 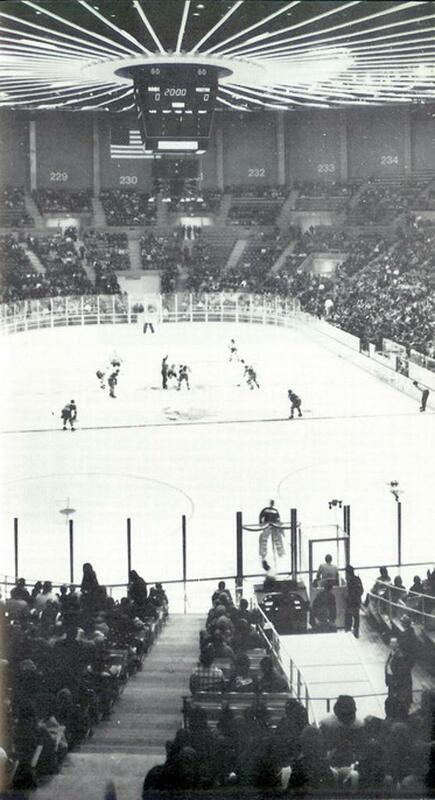 The Arena in Sapporo, and in St. Paul are the only arenas in the world thought to have the clear boards". 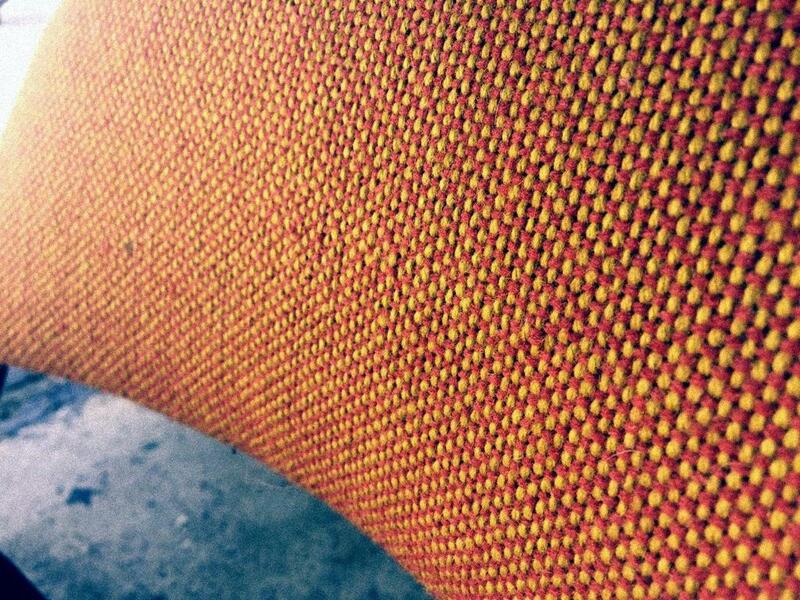 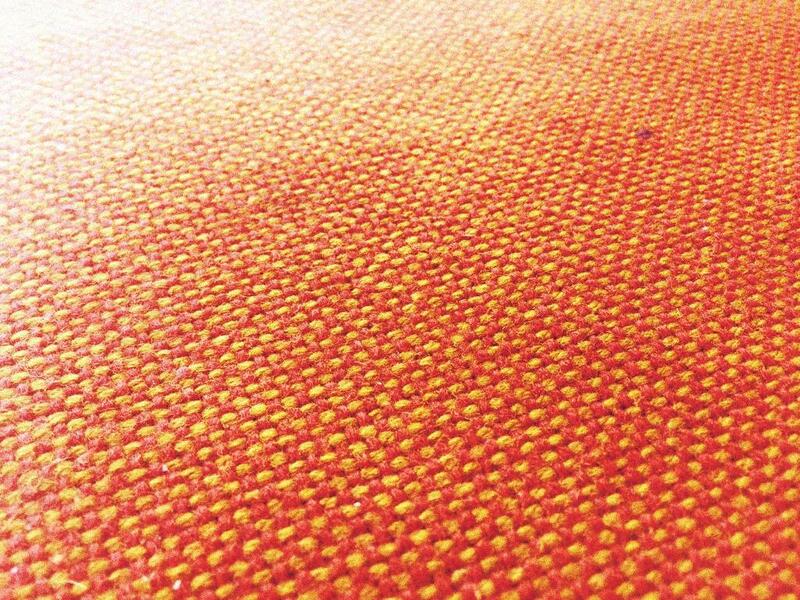 said John Friedmann. 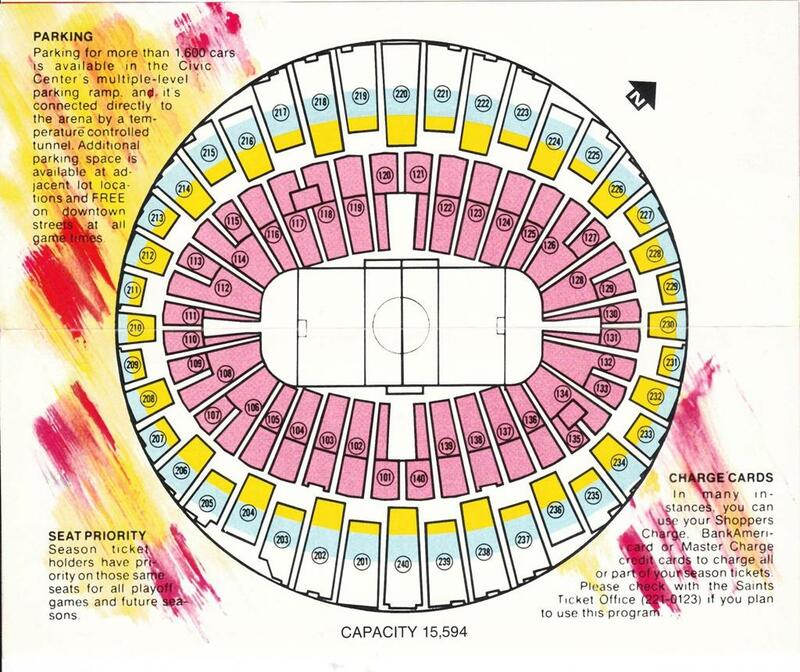 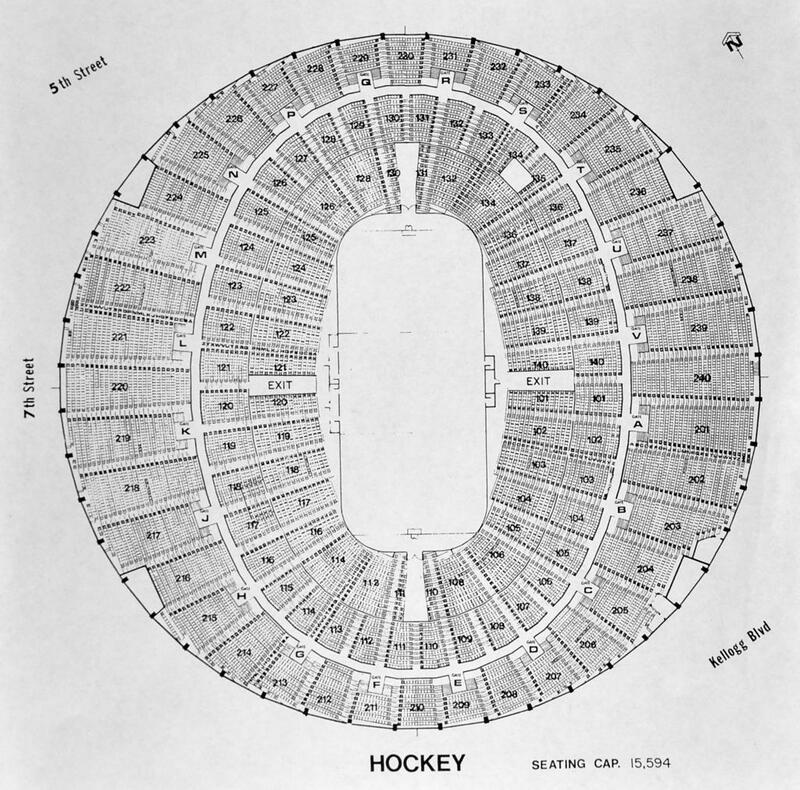 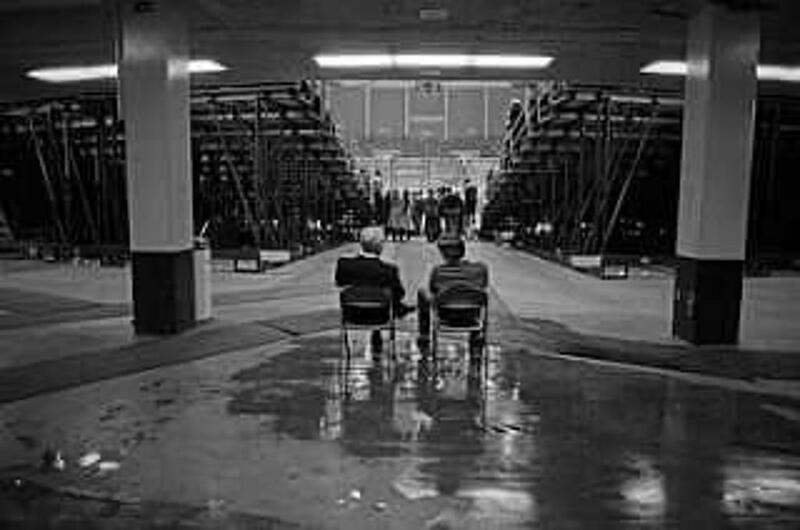 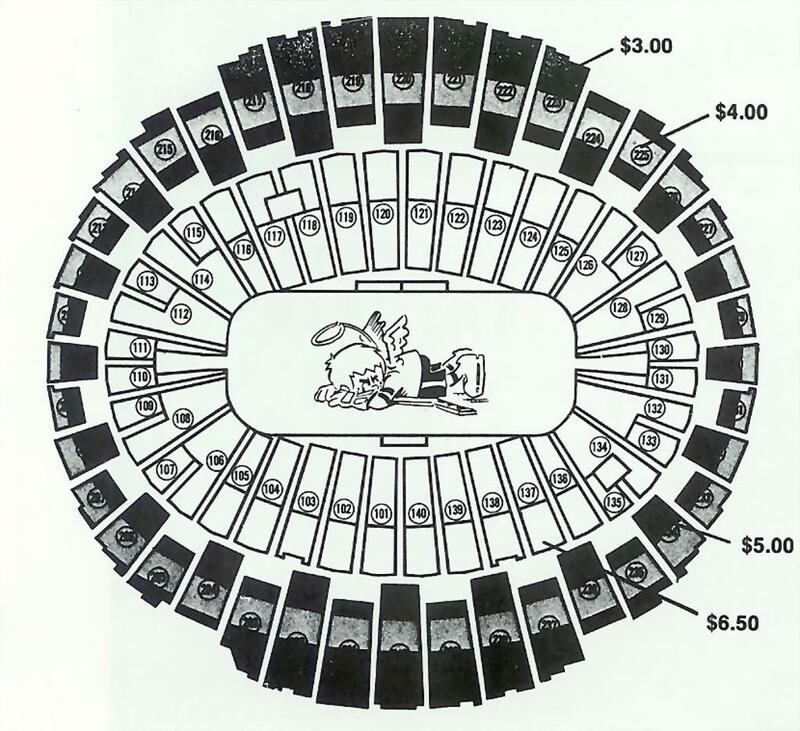 The seating configuration of the "Madison Square Garden of the North" that the Civic Center became knows as was round, meaning the closest seats at center ice were not right up against the glass. 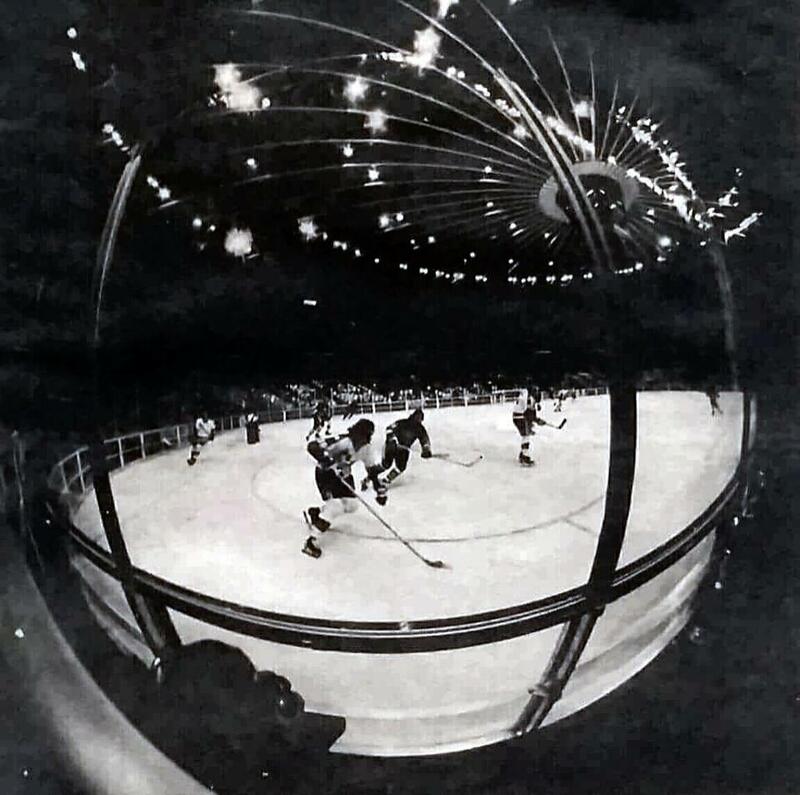 The clear dasher-boards made for better sight-lines for those spectators. 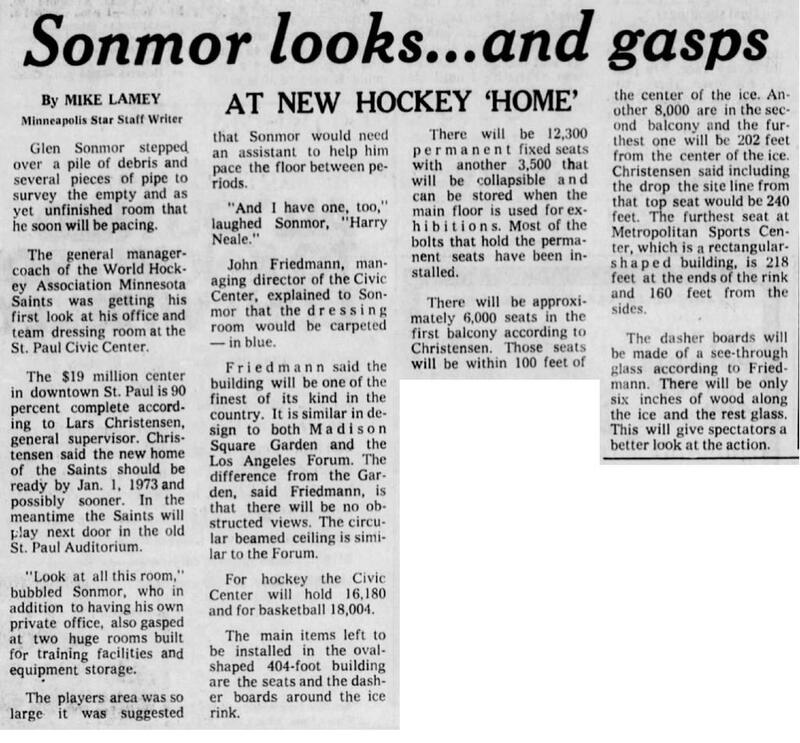 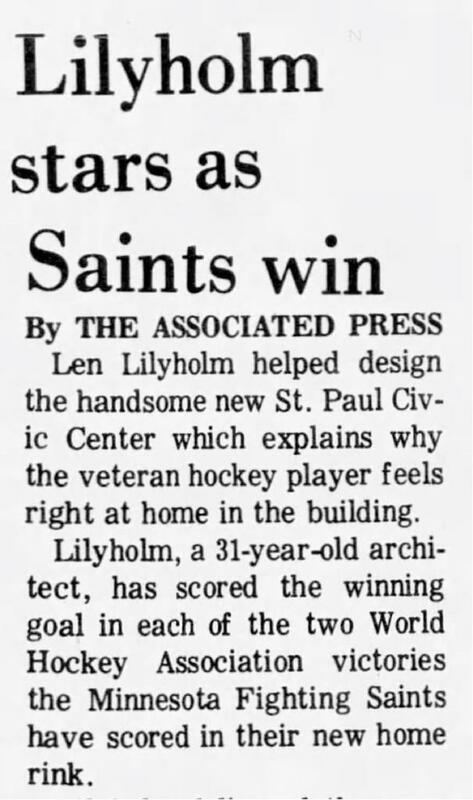 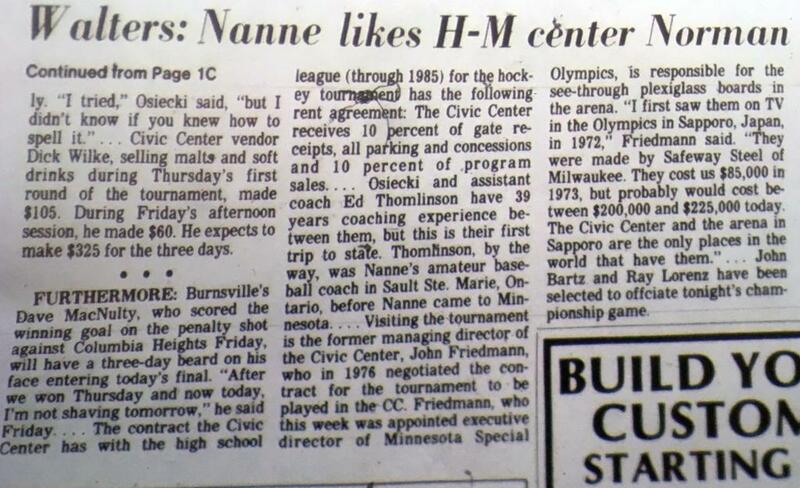 Also of note, the principal architect for the Civic Center, was Len Lilyholm, who found himself right at home within the Arena as a player with the Minnesota Fighting Saints hockey club. 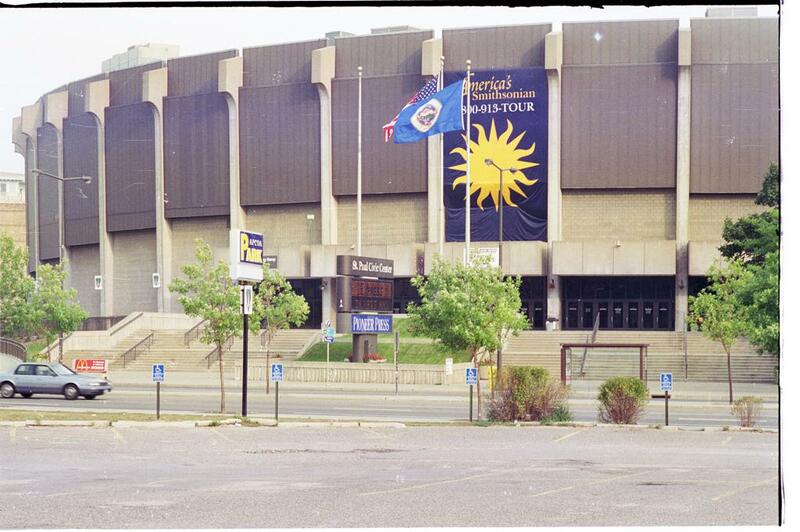 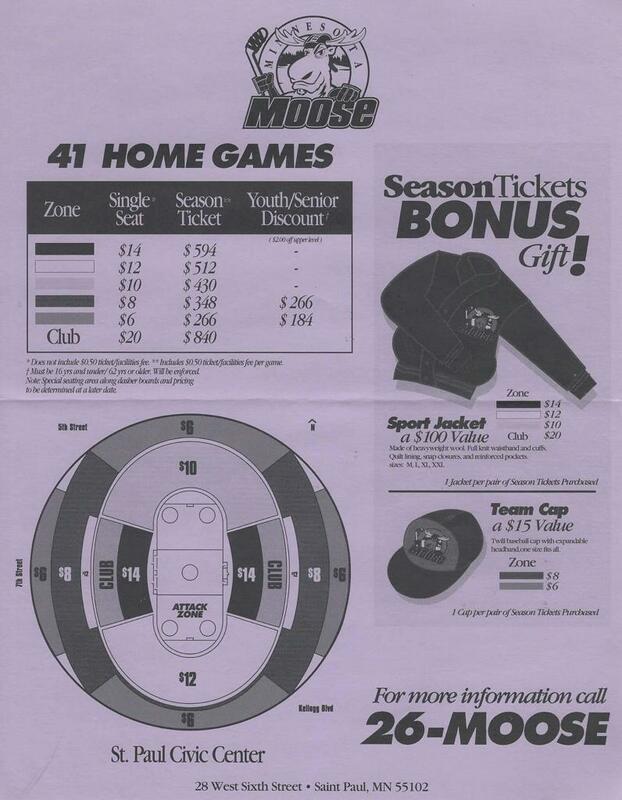 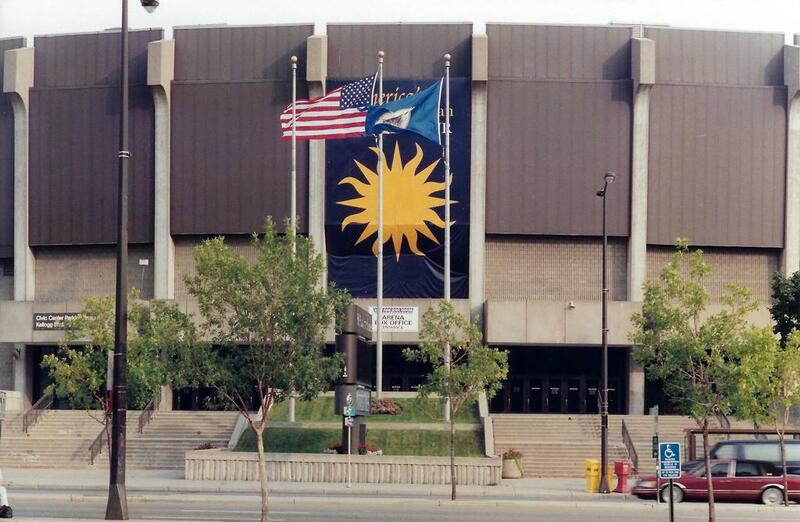 The last professional hockey team to skate in the Civic Center was the IHL Minnesota Moose hockey club from 1994-1996. 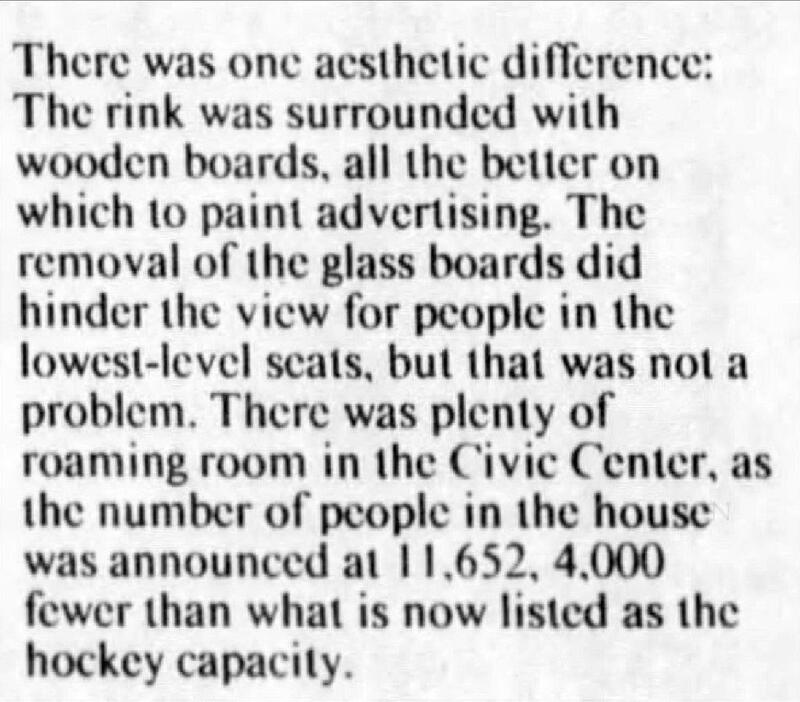 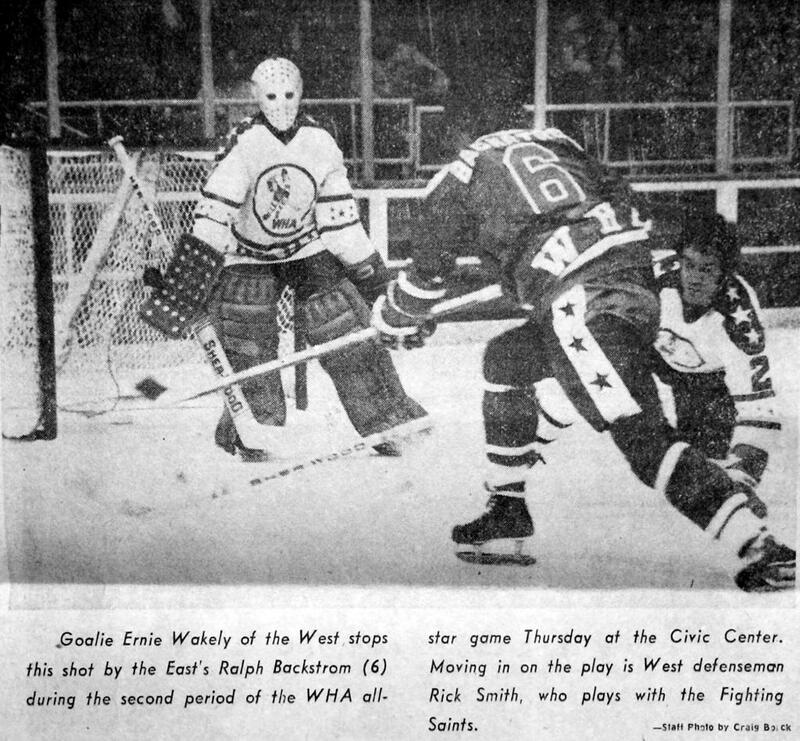 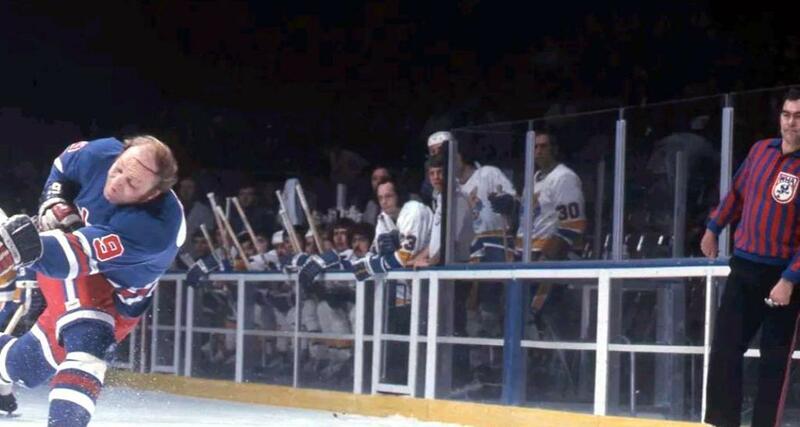 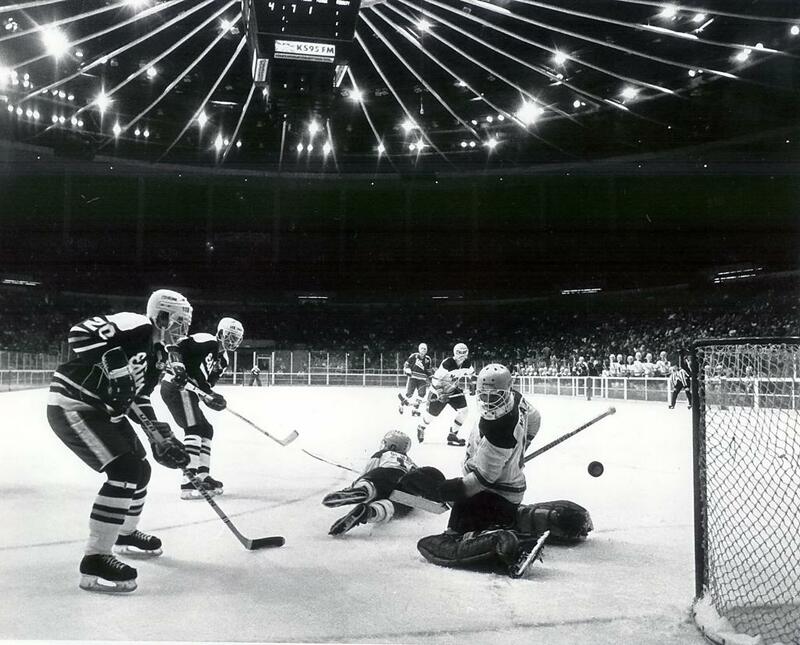 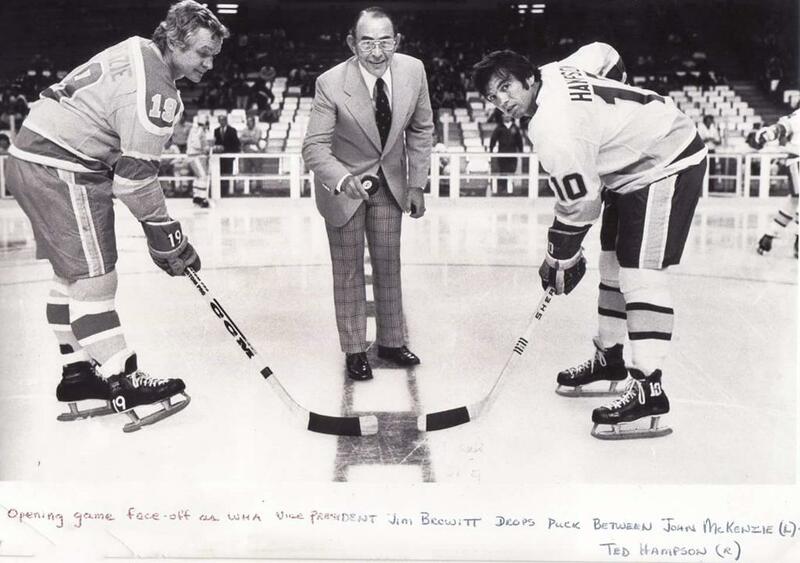 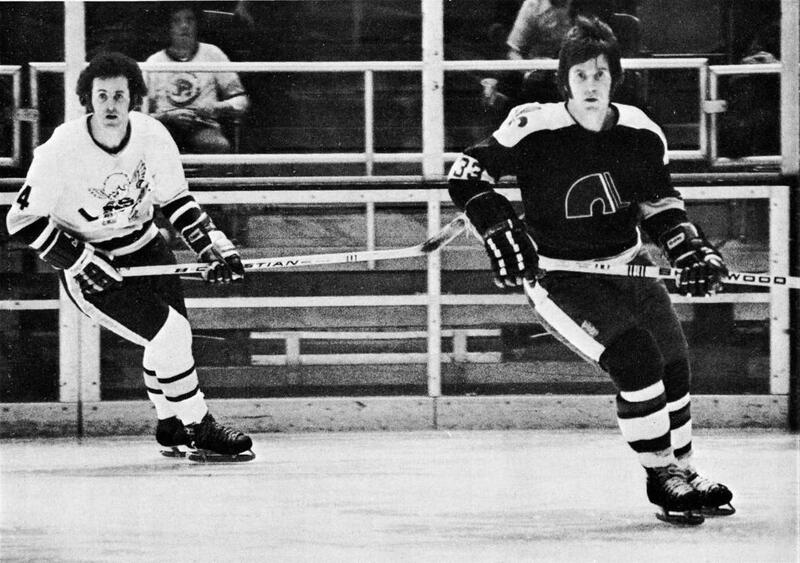 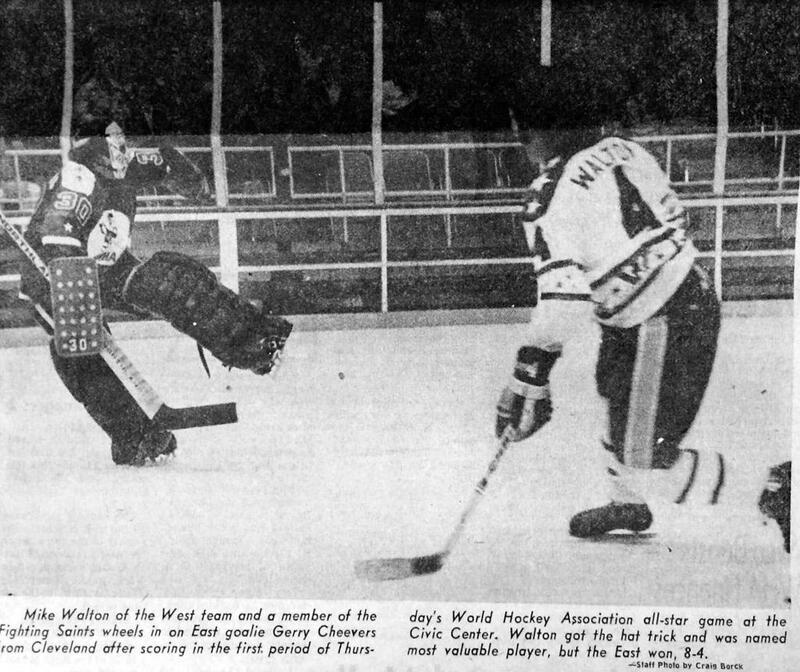 The clear boards were replaced with normal wood boards when the Moose played there, as the professional team needed to be able to sell advertising on them. 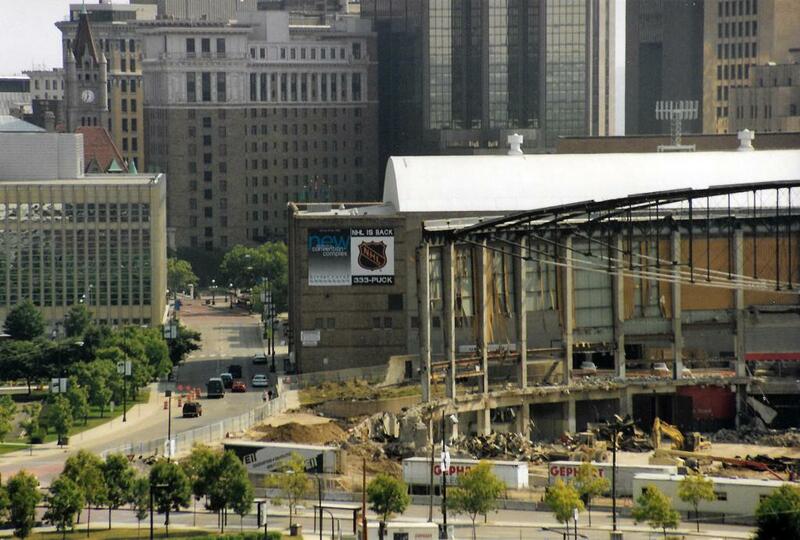 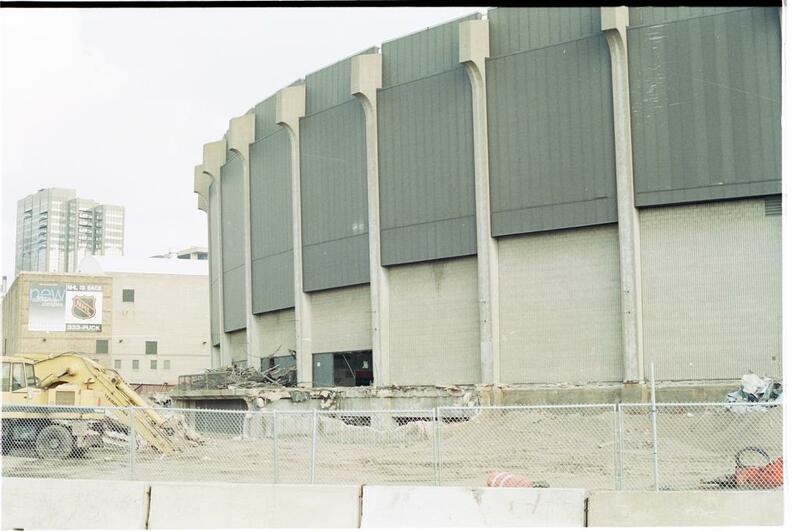 This wrecked the sight-lines for what should have been the best seats, and proved that to get an expansion NHL team a new arena was needed. 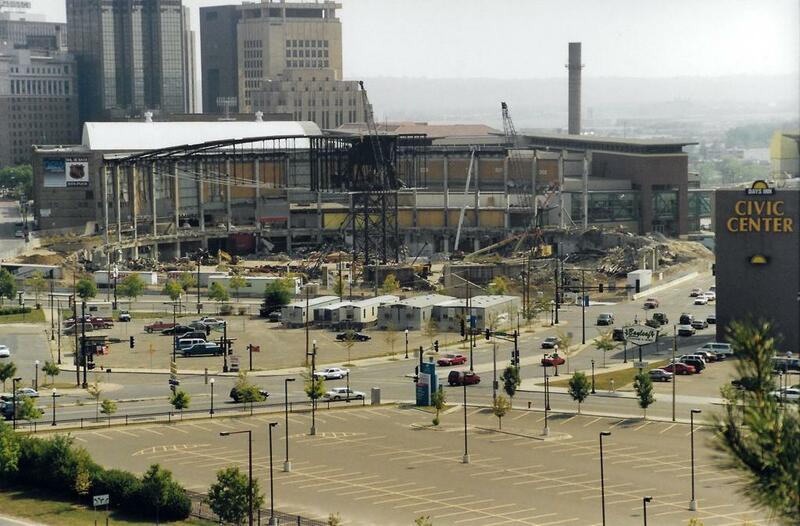 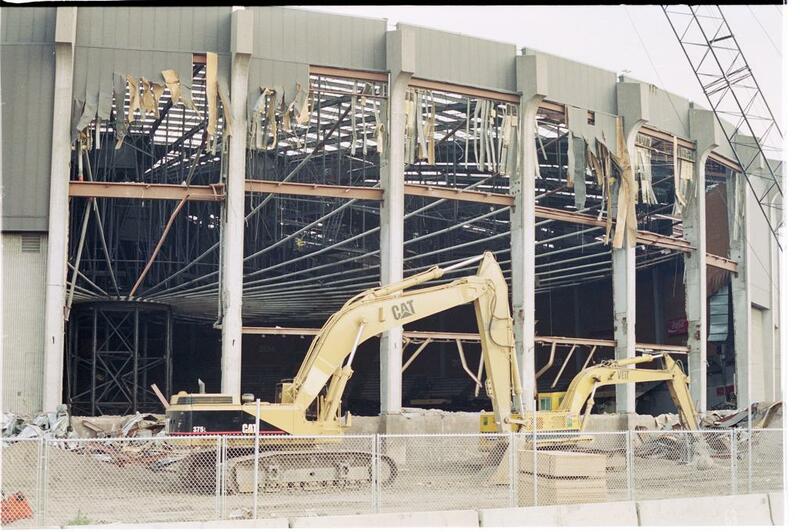 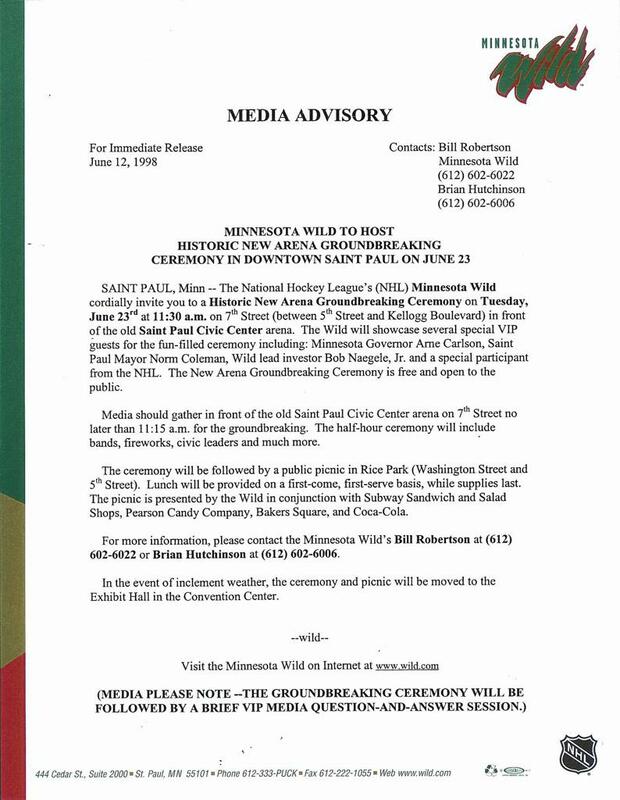 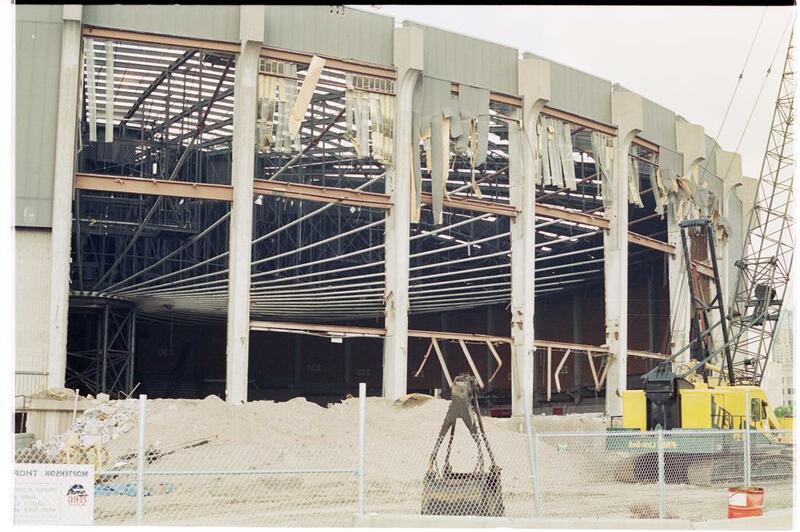 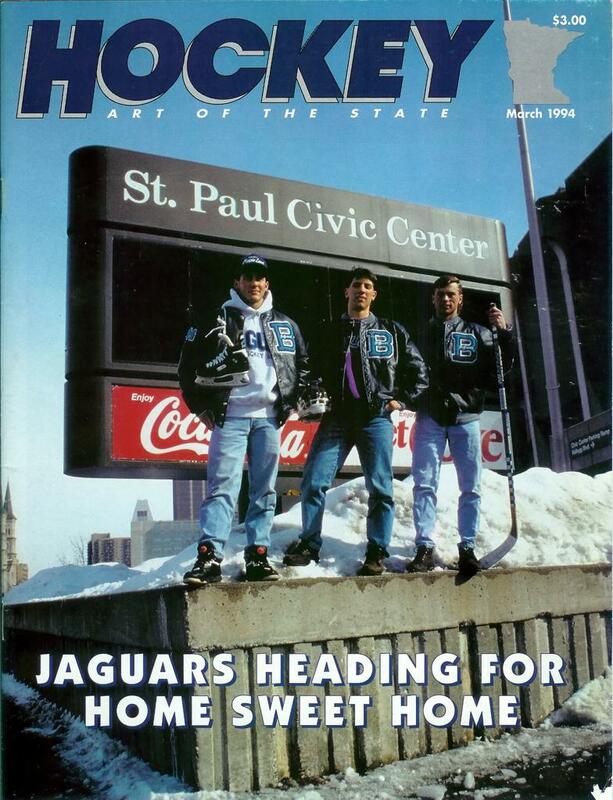 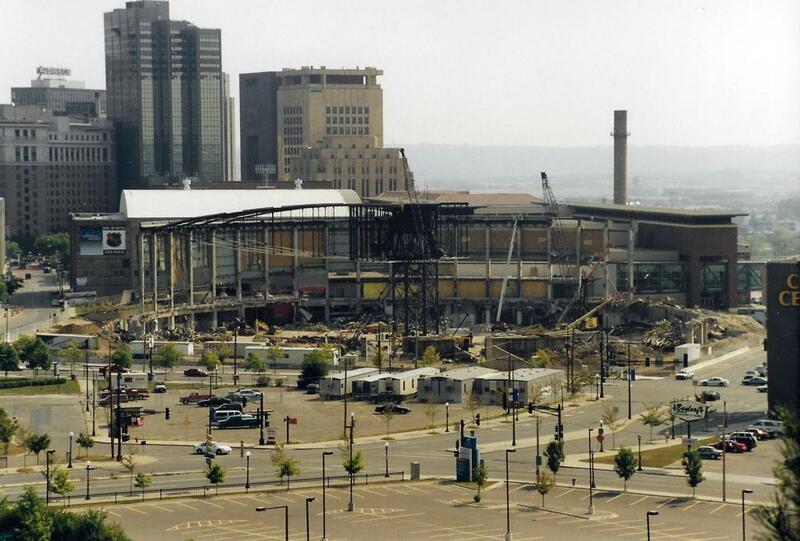 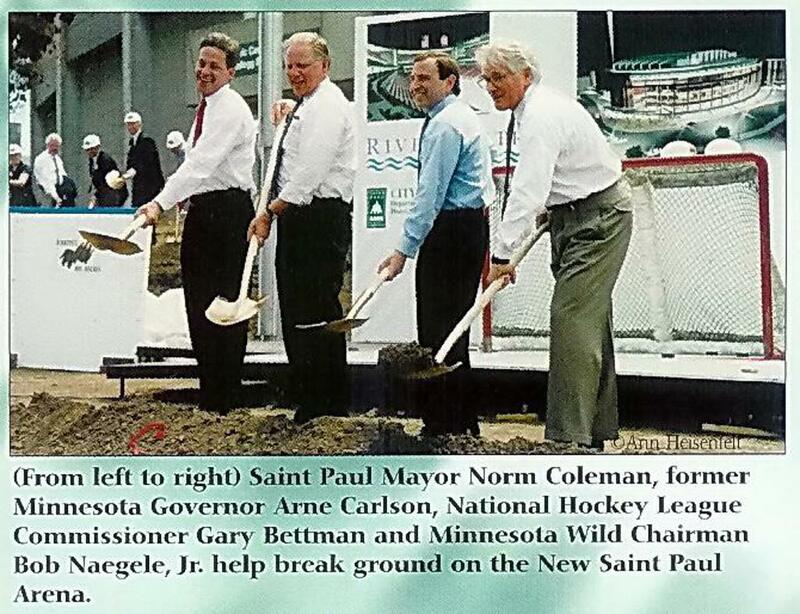 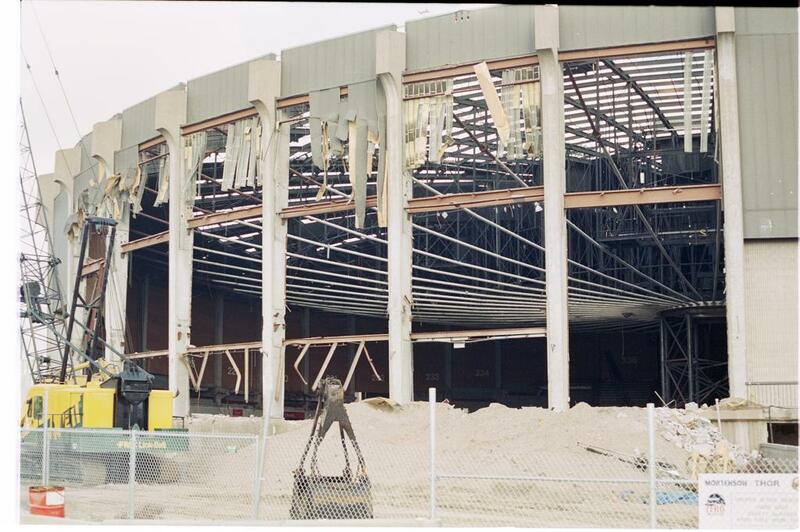 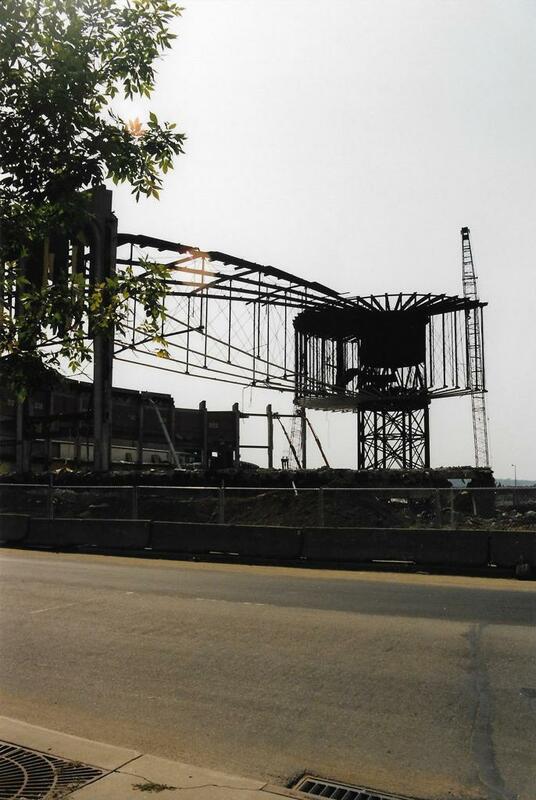 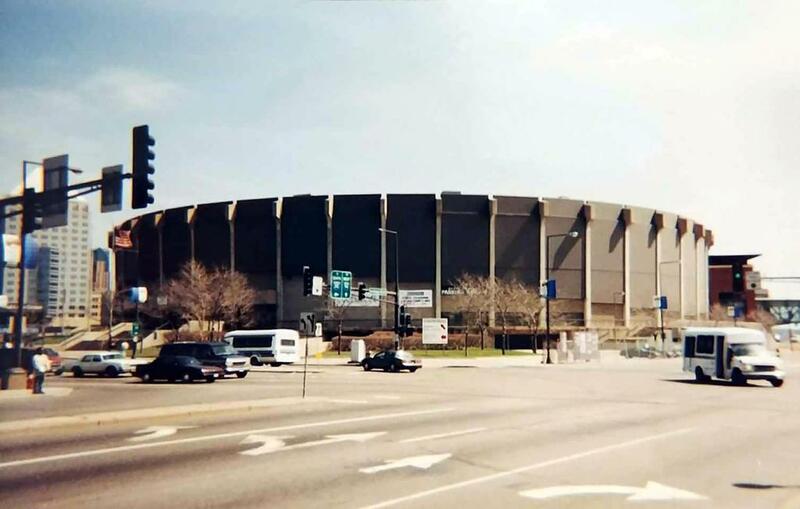 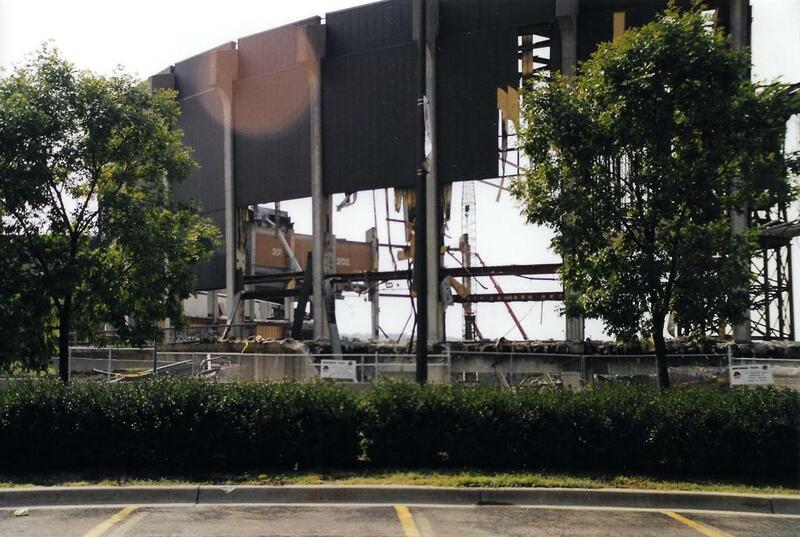 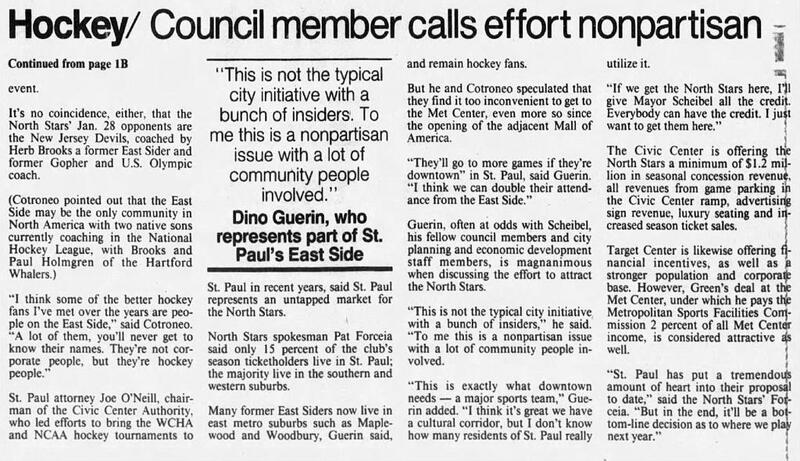 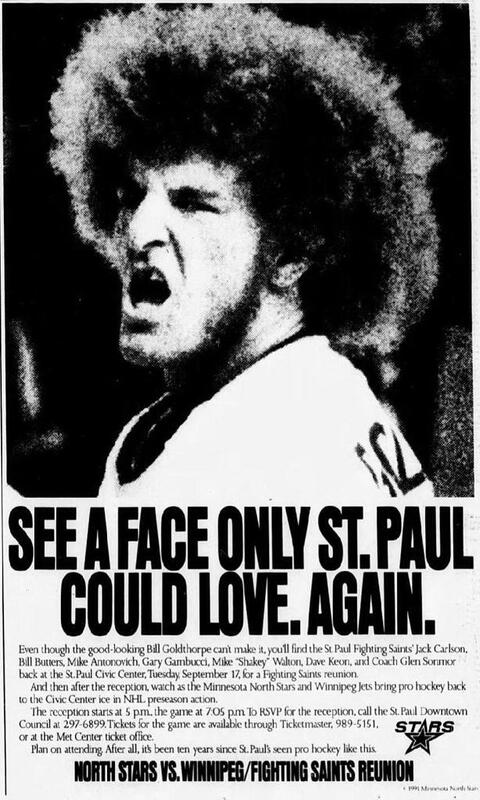 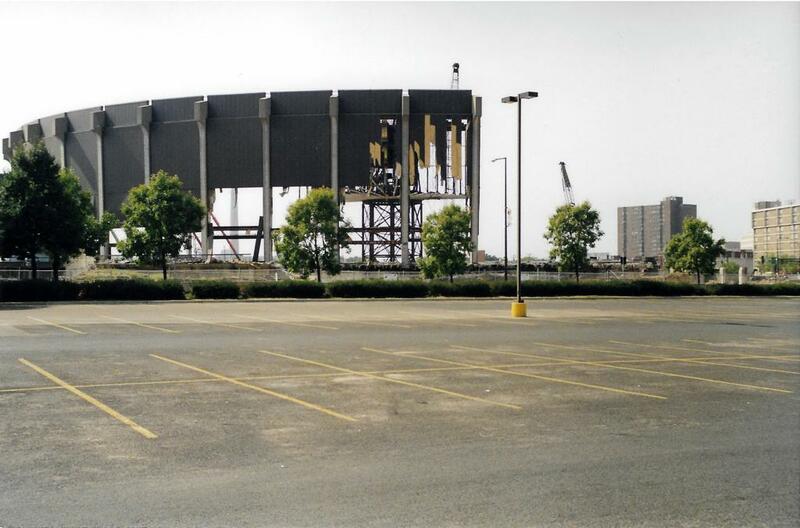 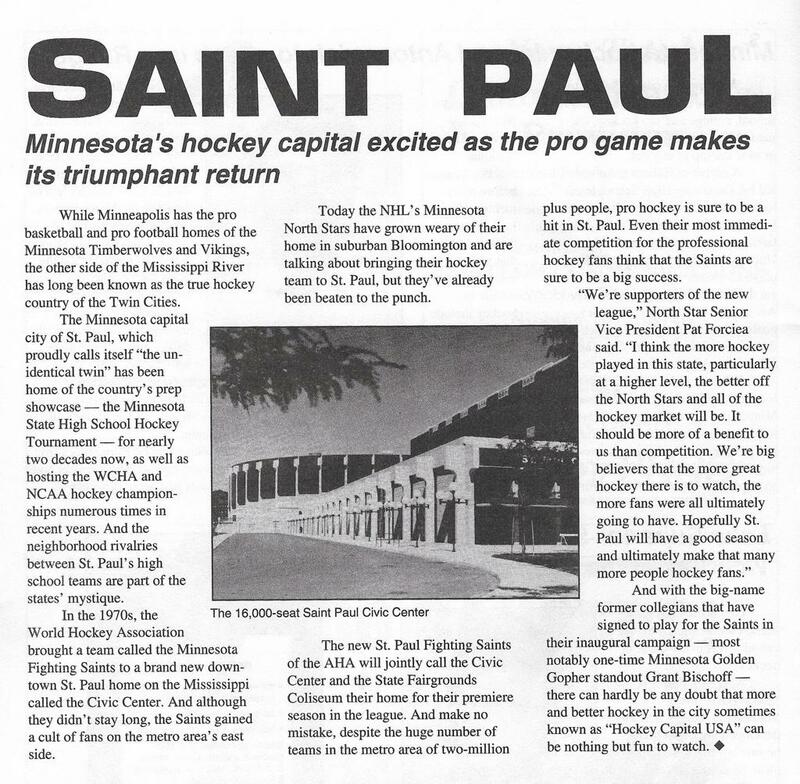 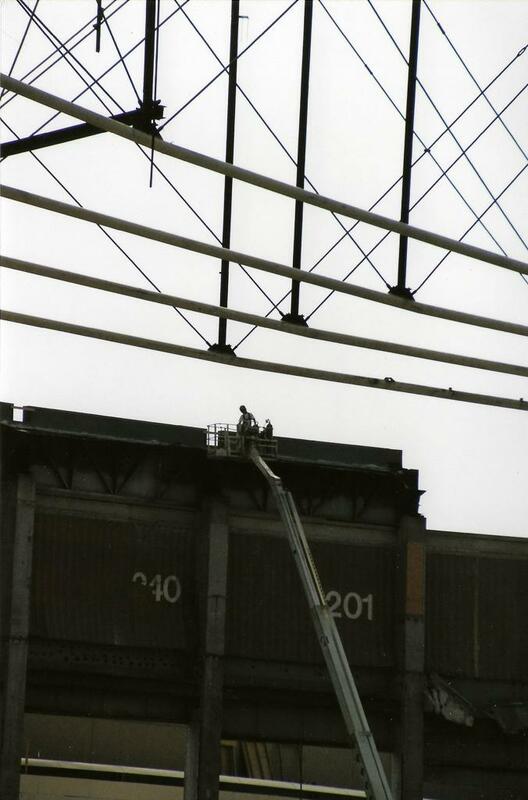 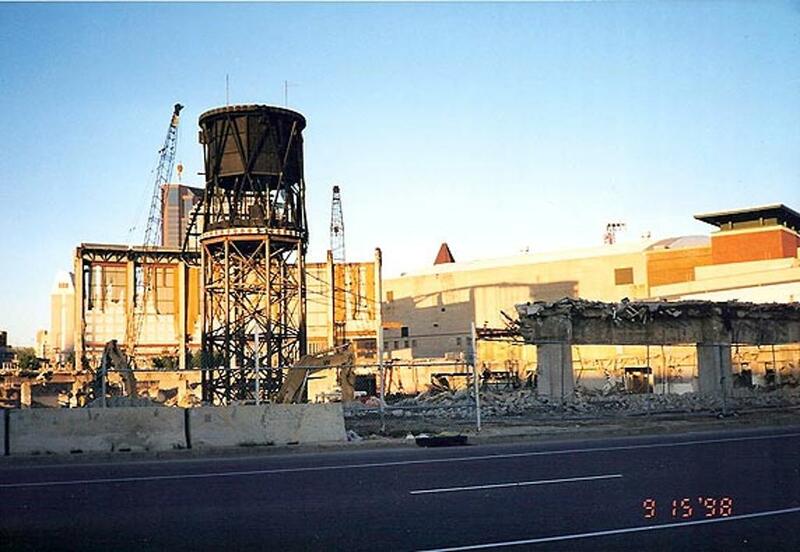 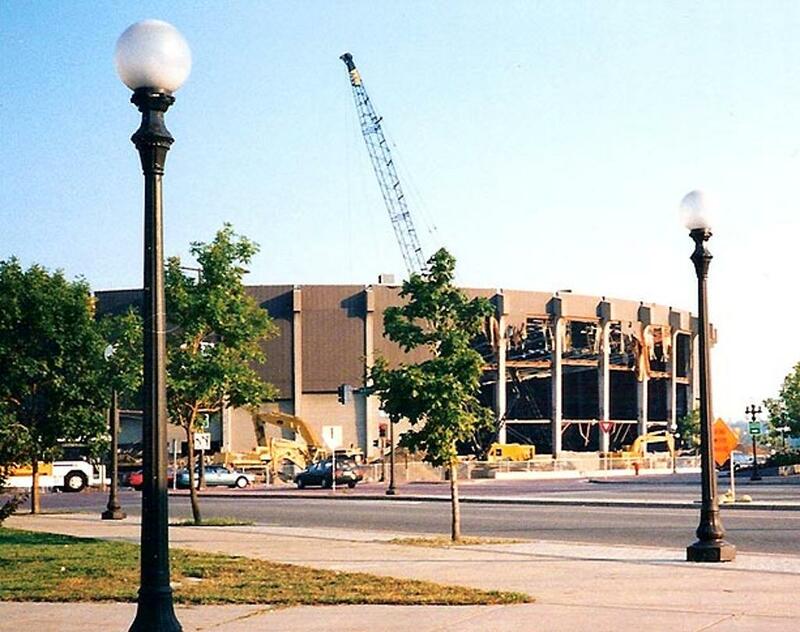 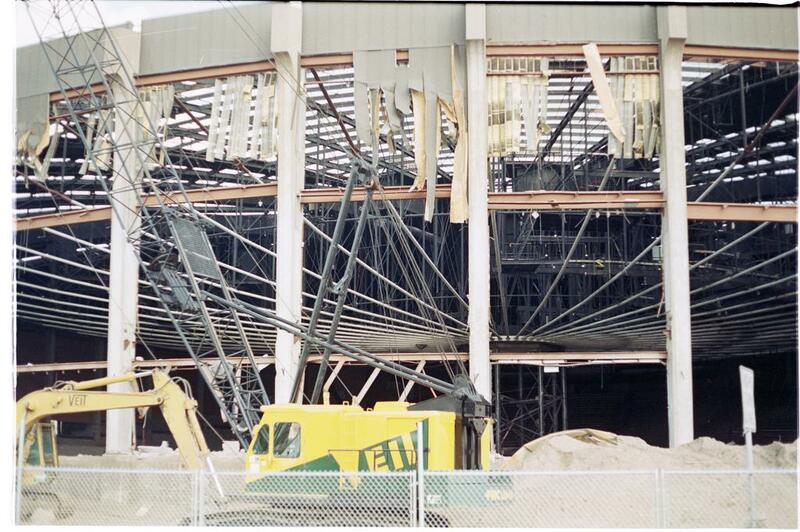 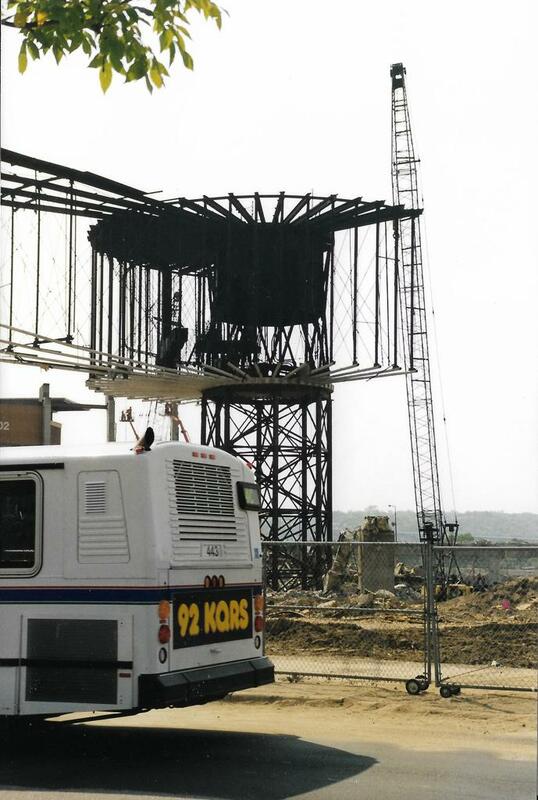 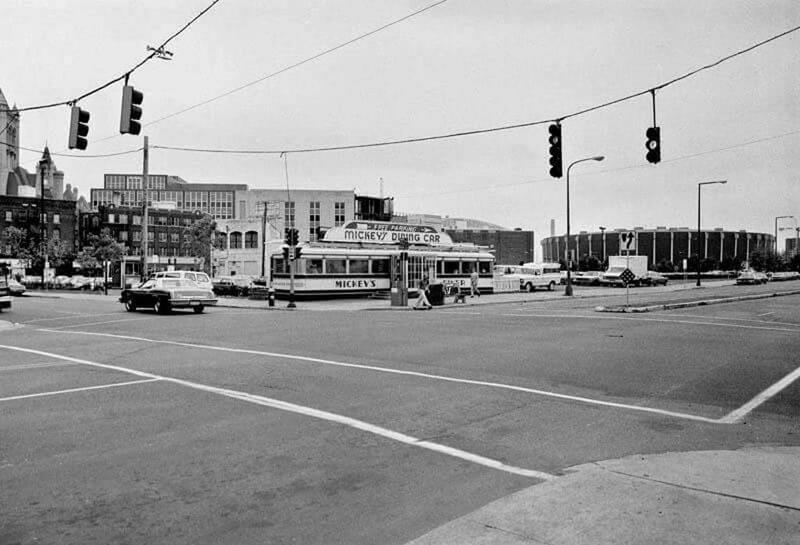 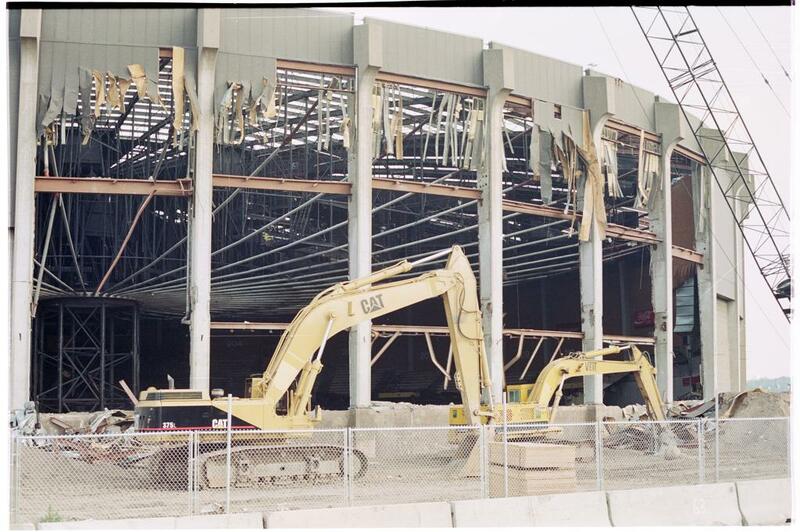 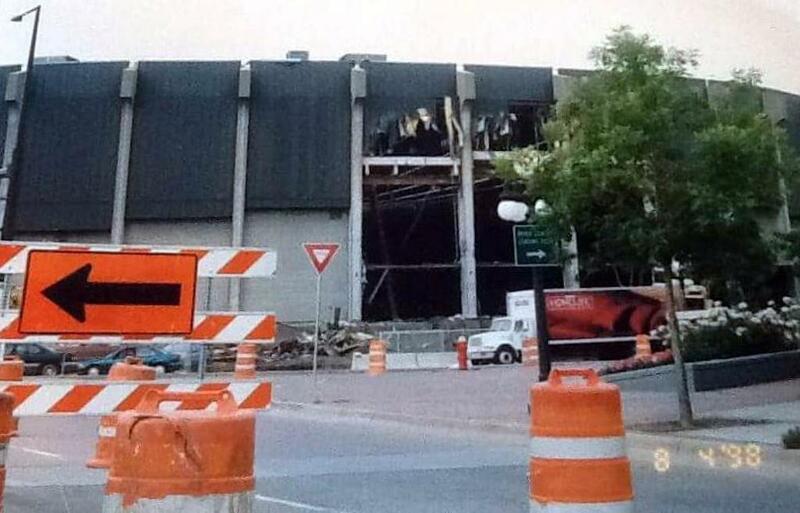 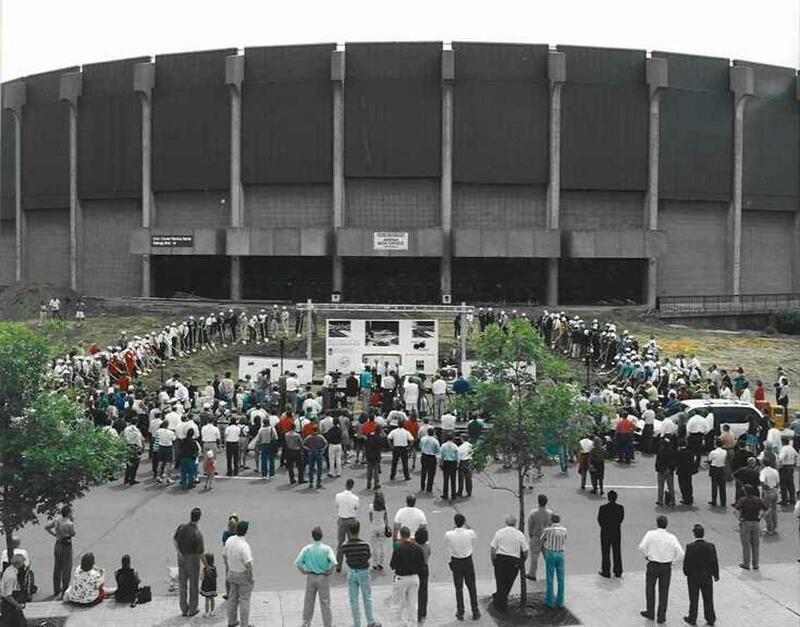 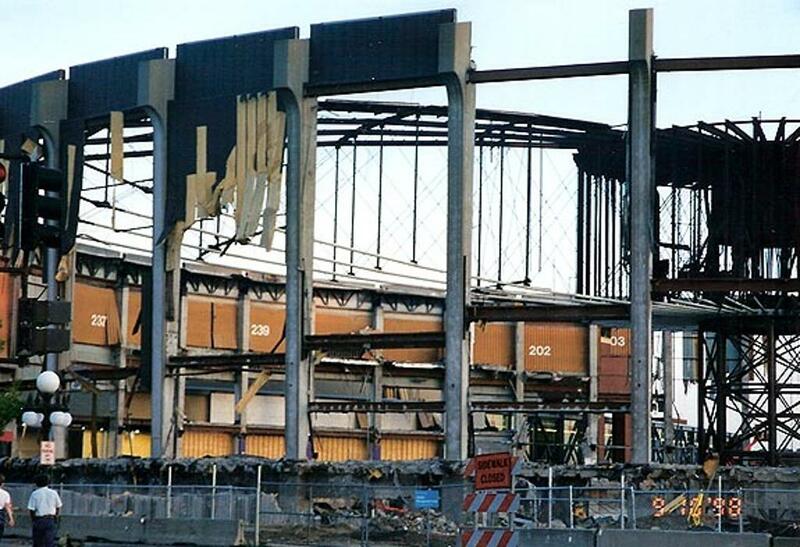 The arena was torn down in 1998 to make way for the Xcel Energy Center which was built in the exact same location as the old Civic center, which opened to play in 2000 with the Minnesota Wild, and subsequently the return of the State High School Hockey Tournament to play in St. Paul.